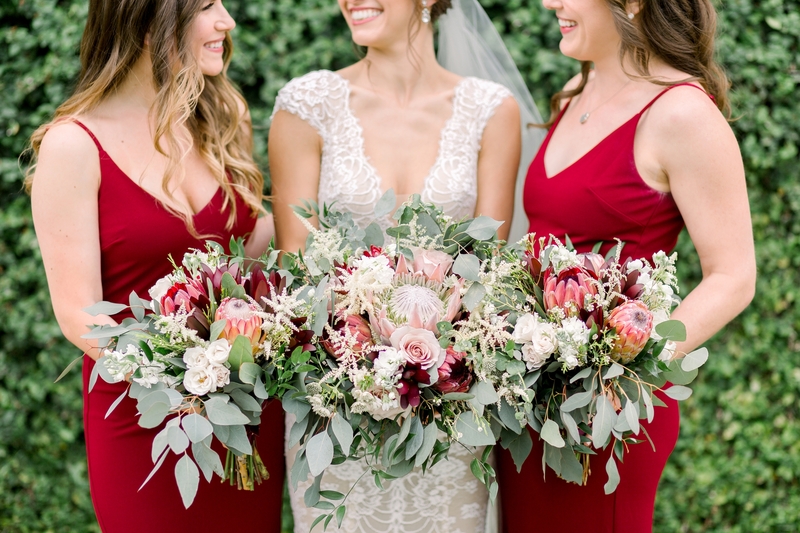 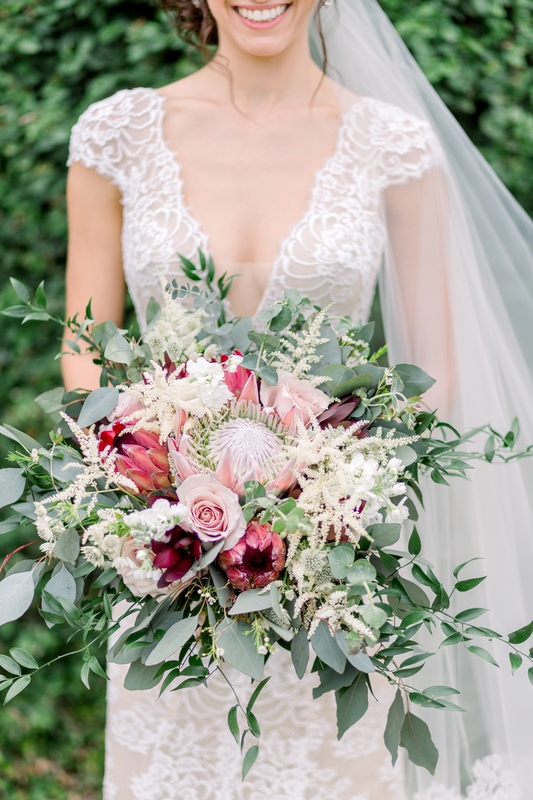 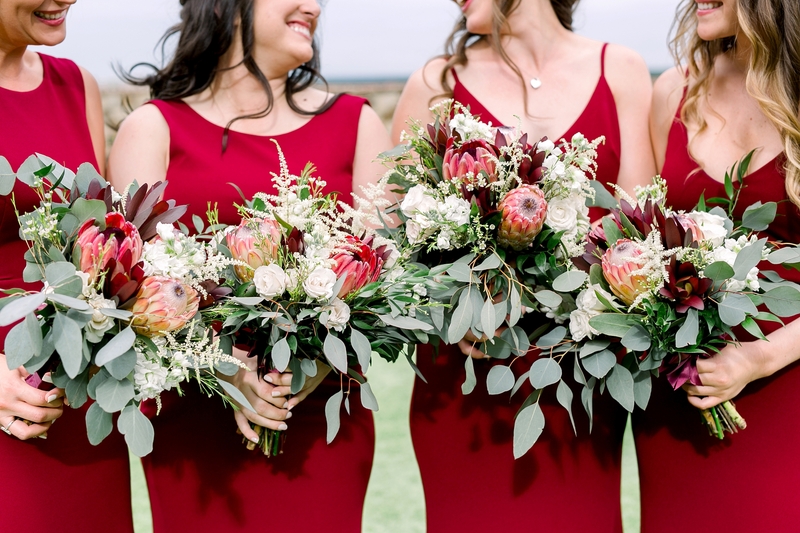 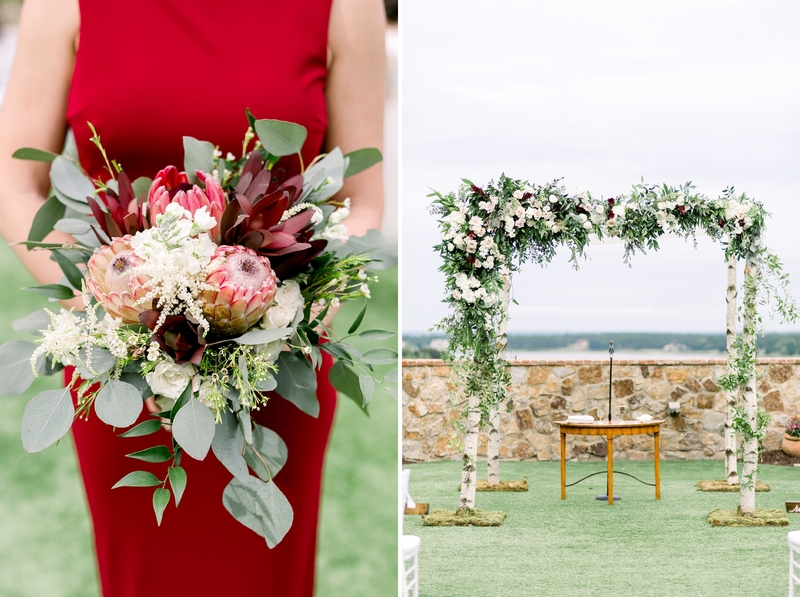 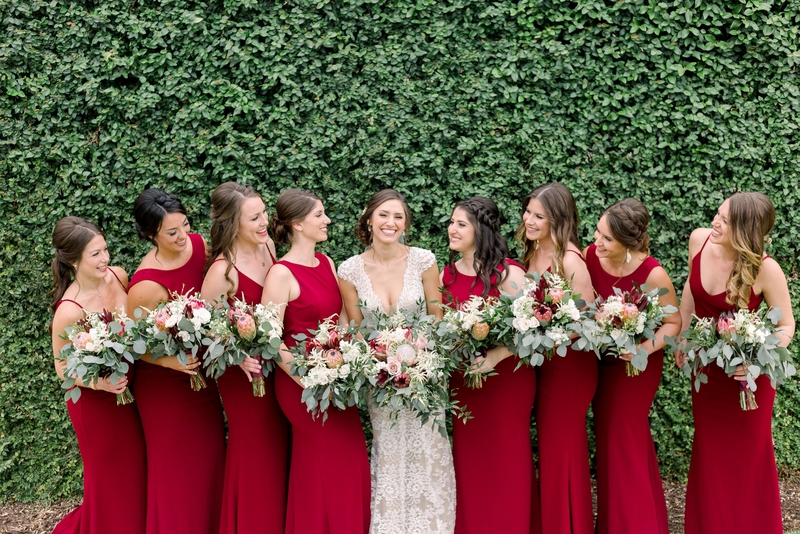 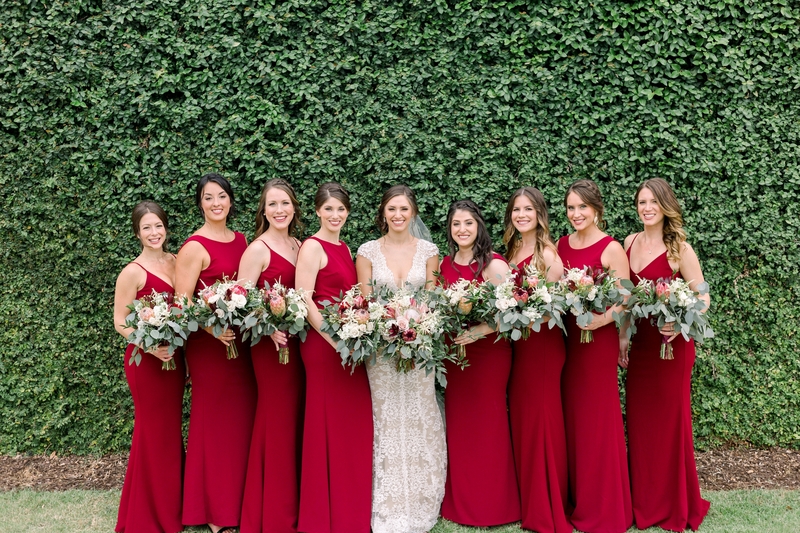 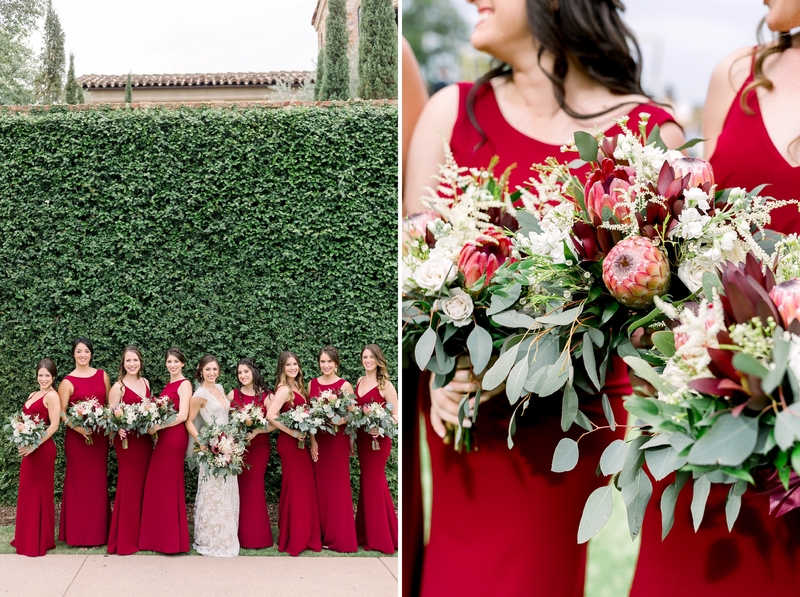 We’re loving this Spring Bella Collina wedding with the most incredible Protea bouquets, bold colors and custom Chuppah! 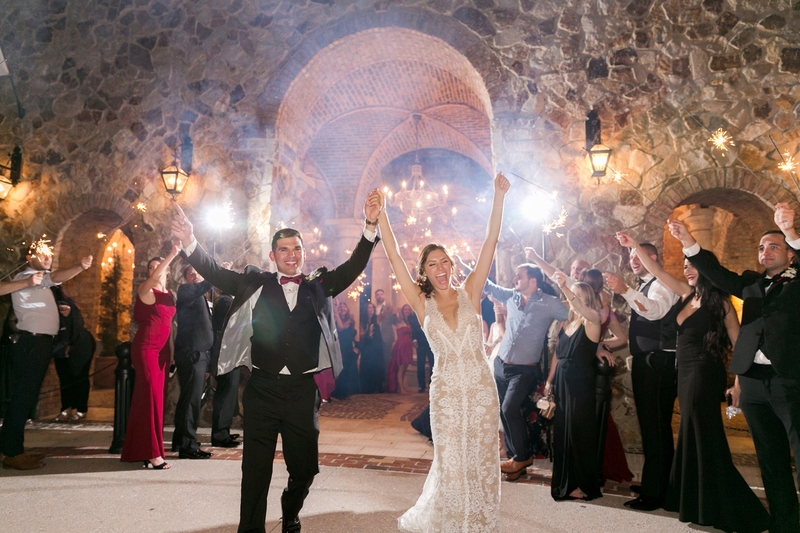 Their decadent Jewish wedding was followed by a Santorini honeymoon! 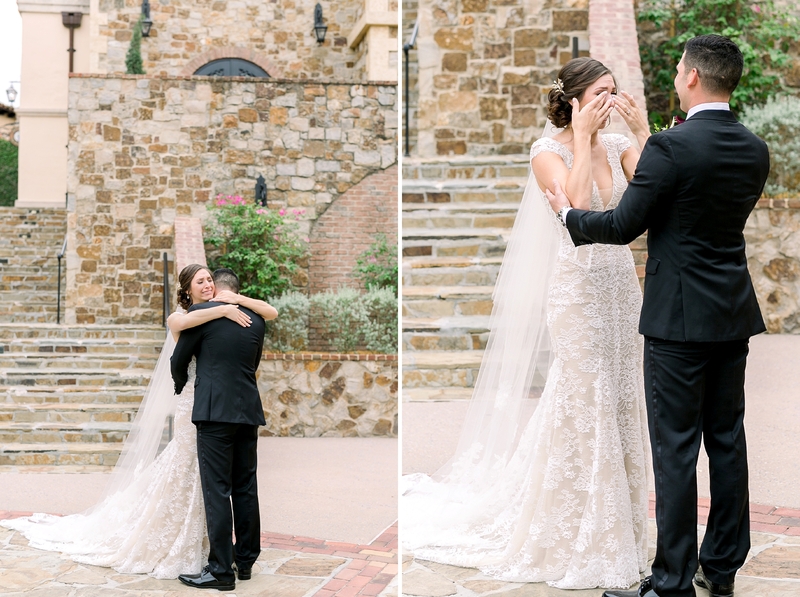 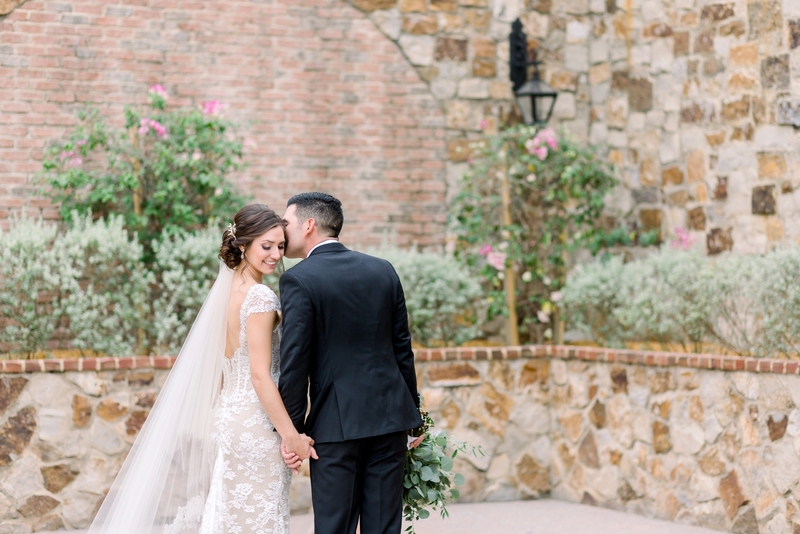 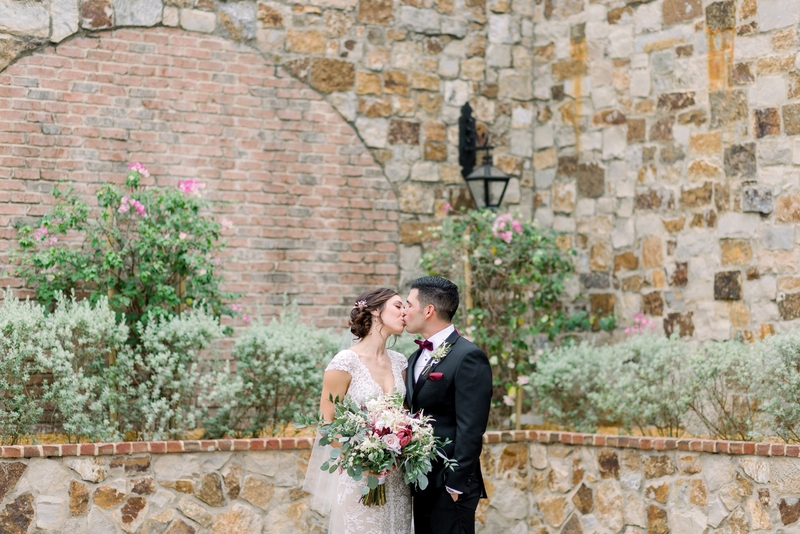 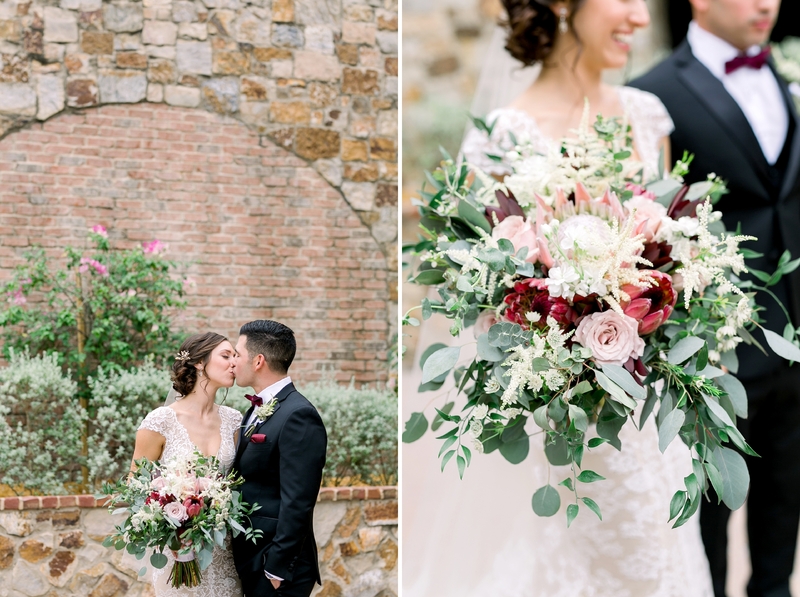 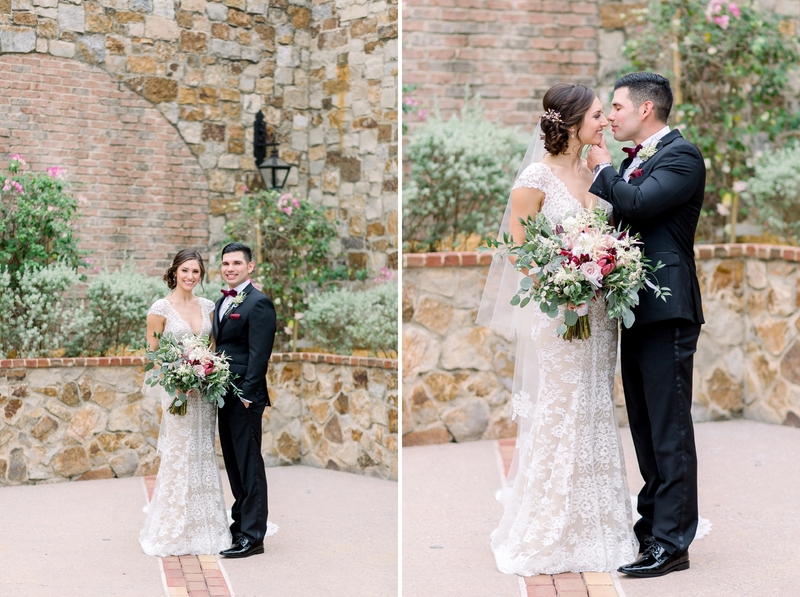 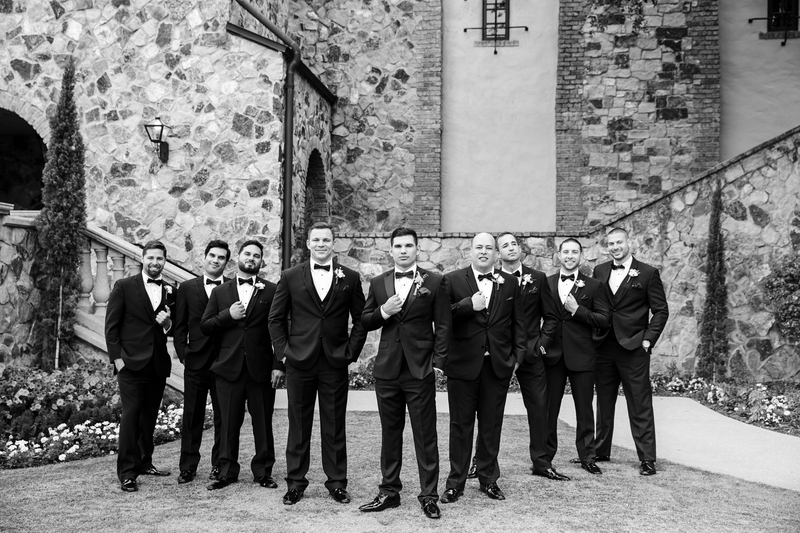 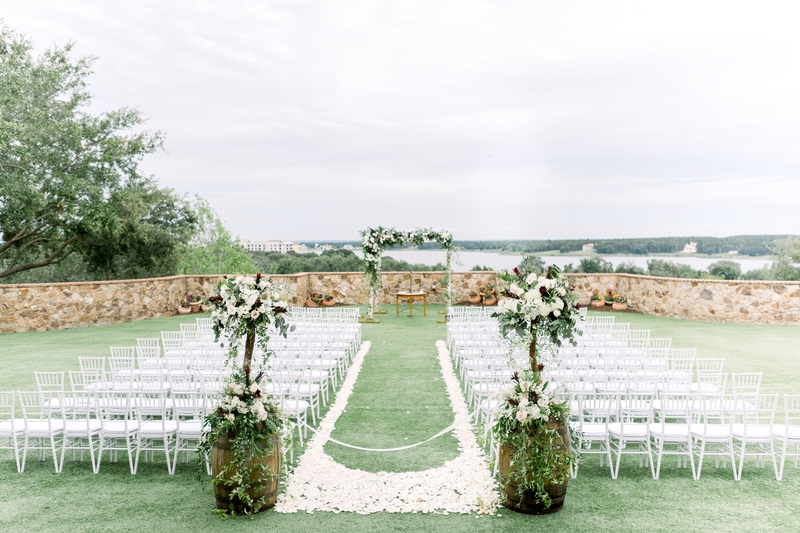 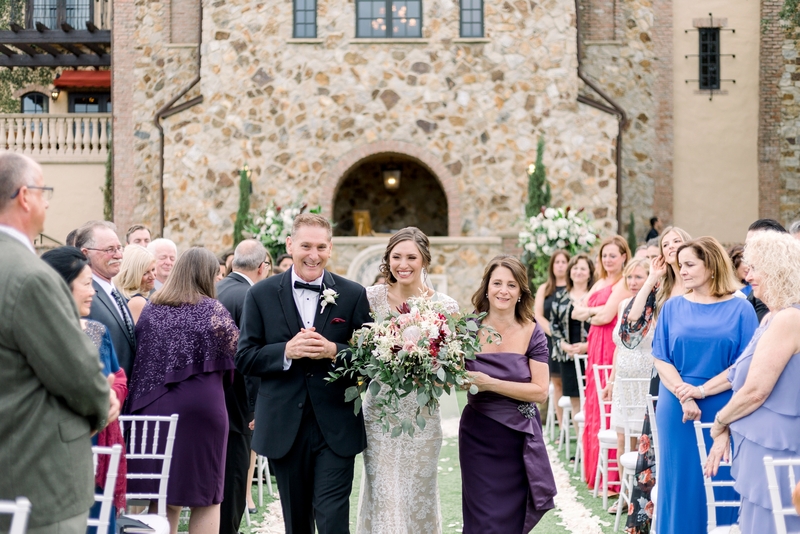 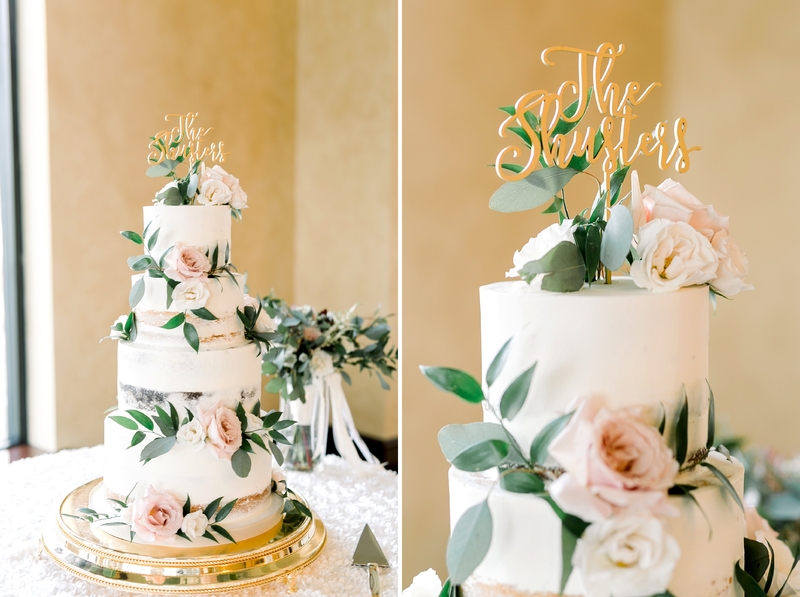 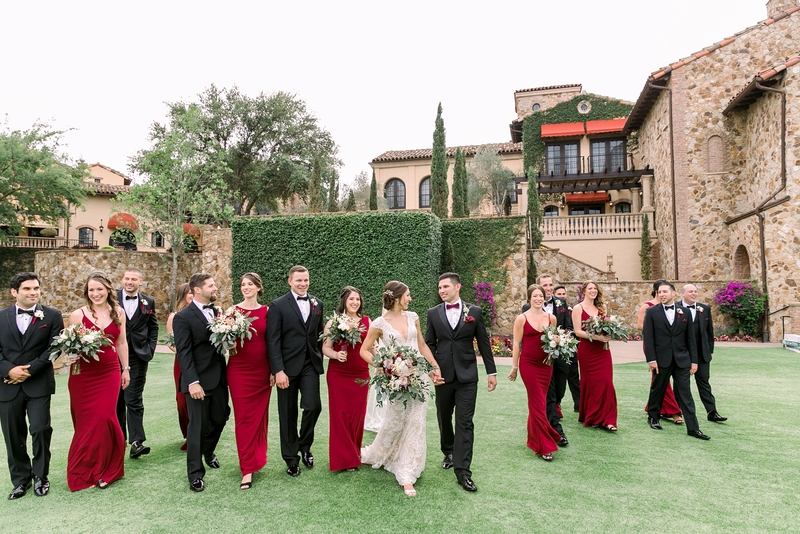 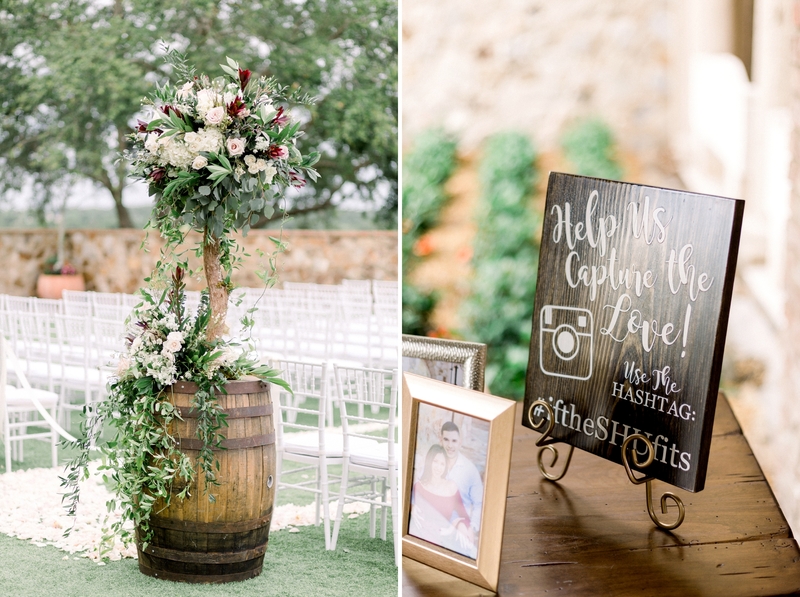 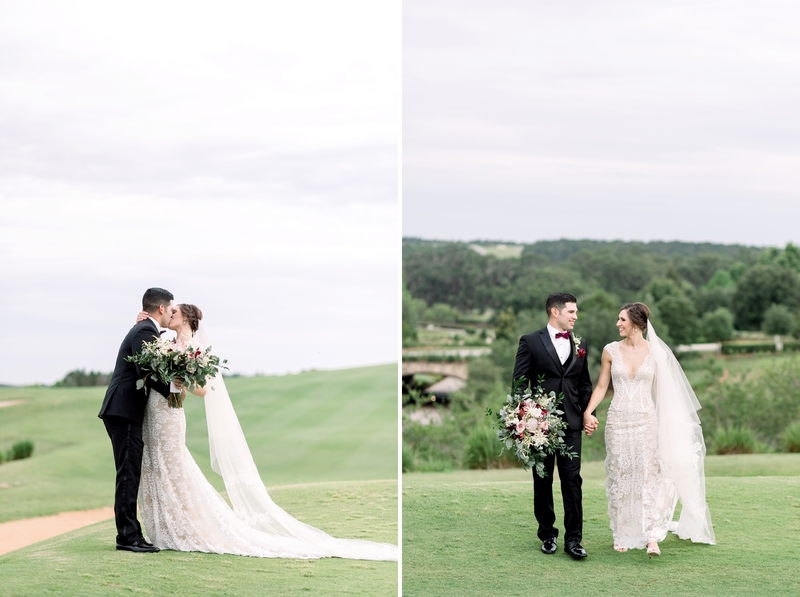 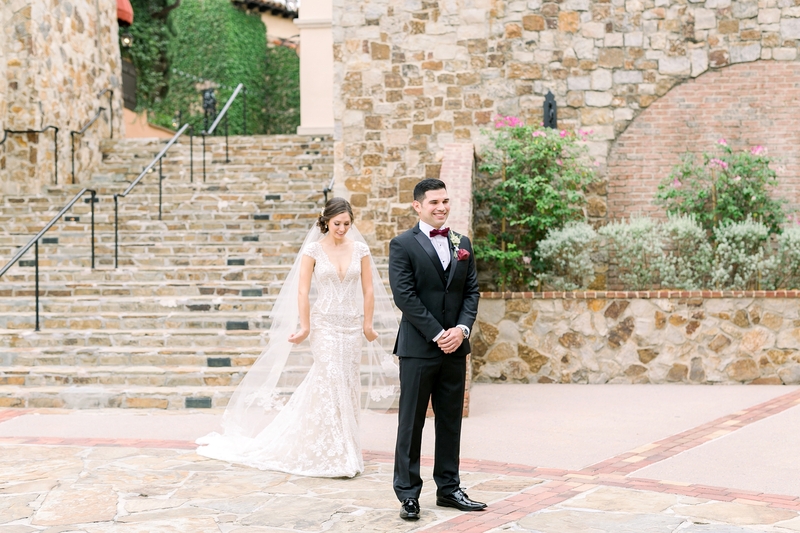 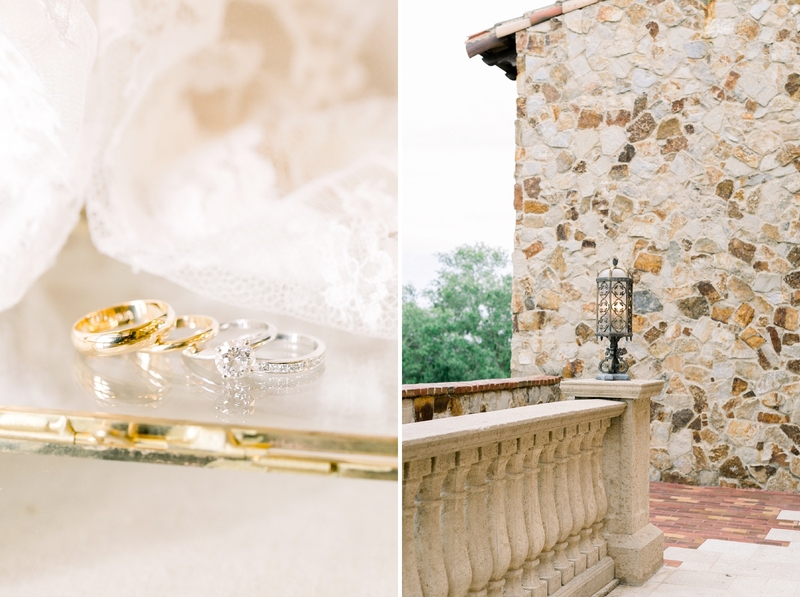 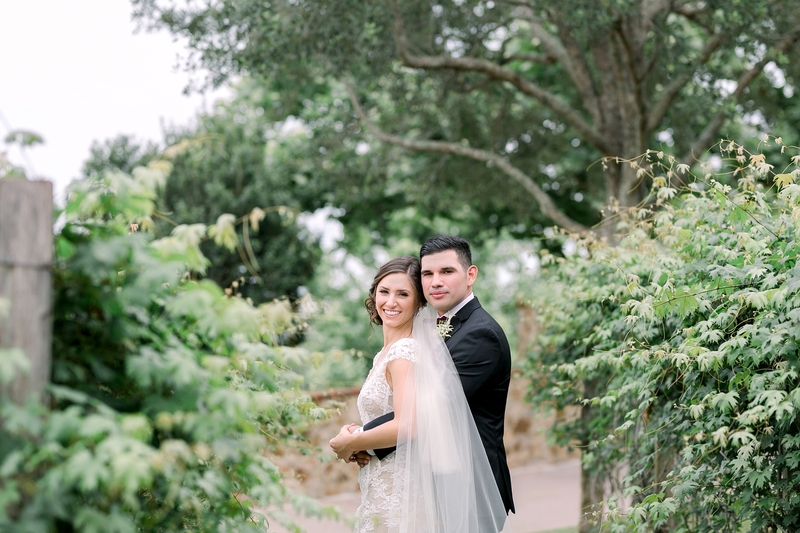 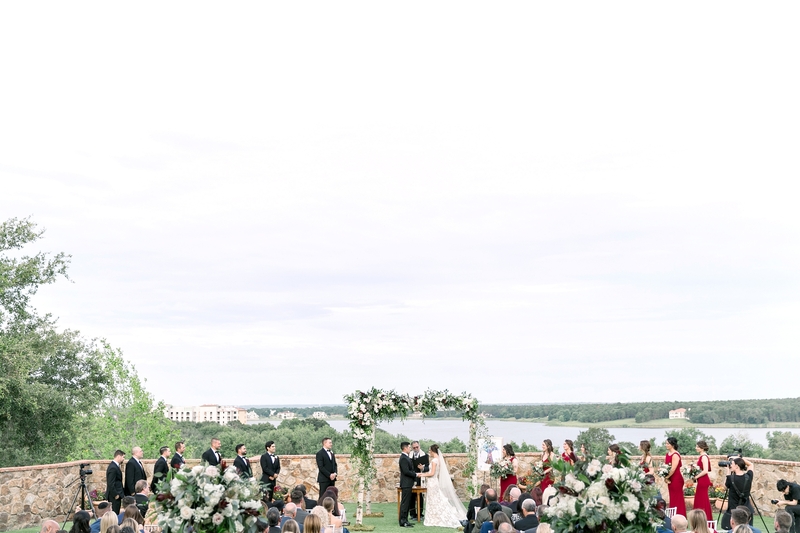 I don’t even know where to begin with this gorgeous Bella Collina wedding celebrating the union of Erika and Mike! 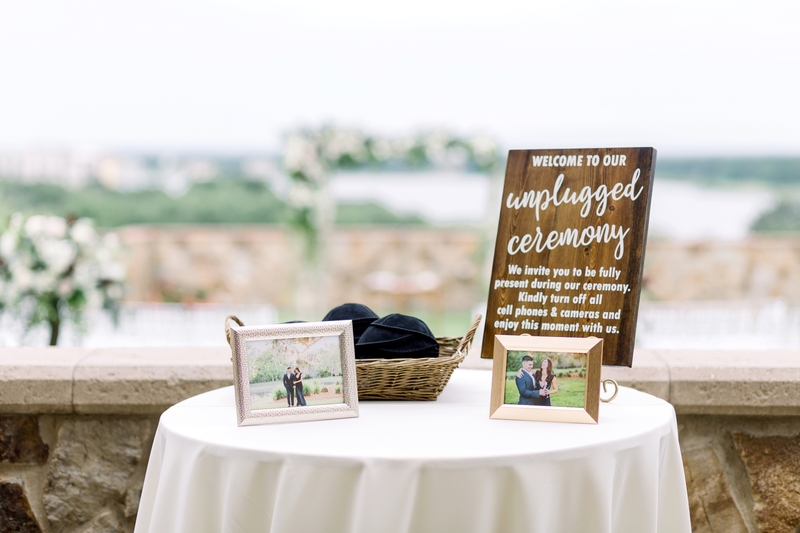 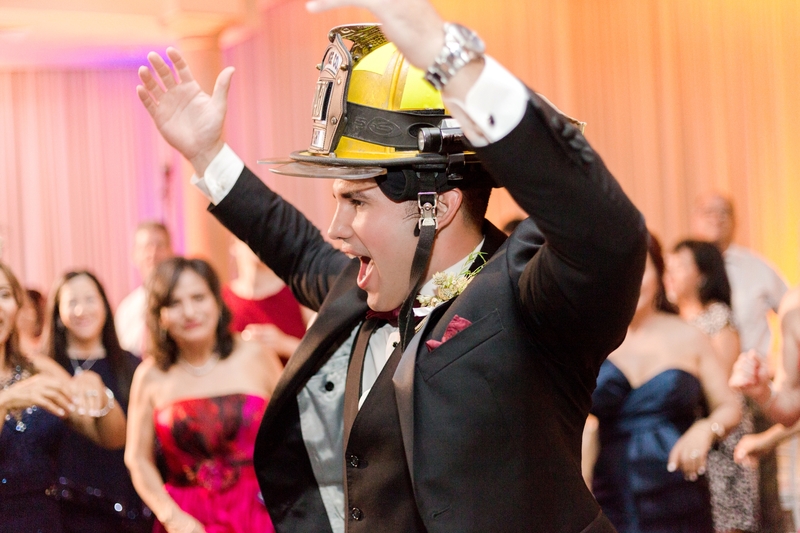 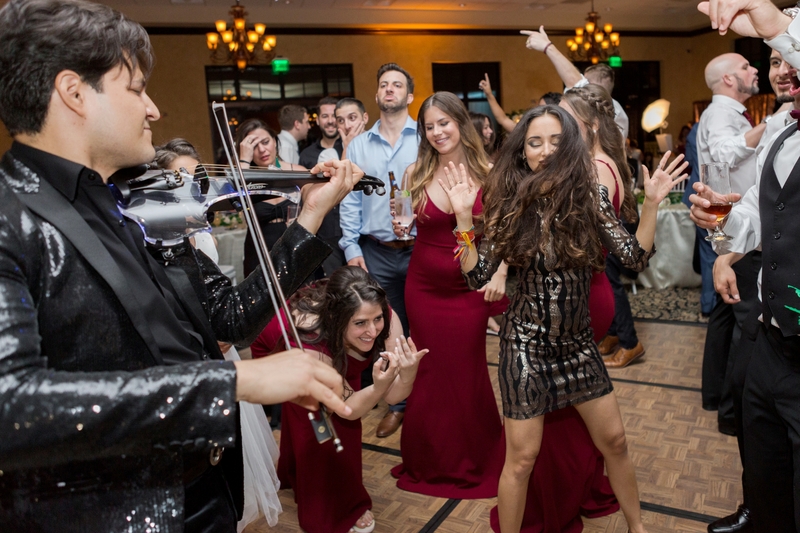 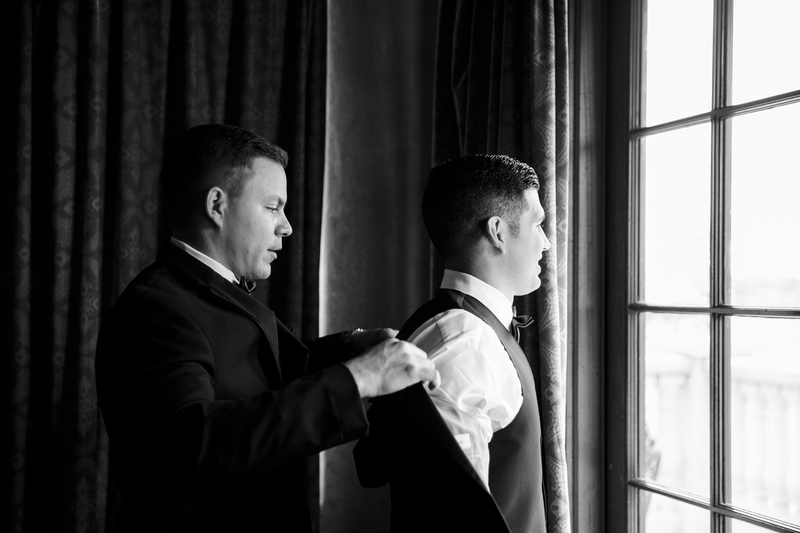 Every detail was thoughtfully planned, from the bridesmaid’s rompers to the reception musicians! 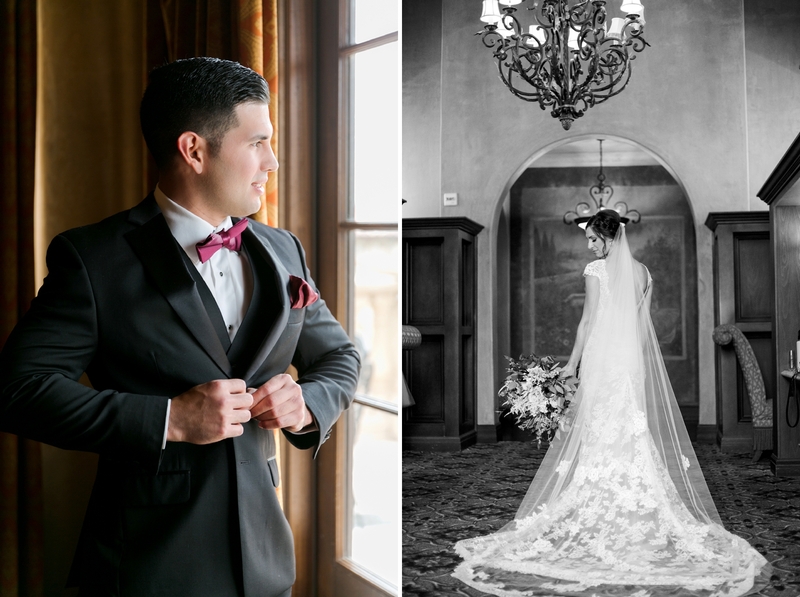 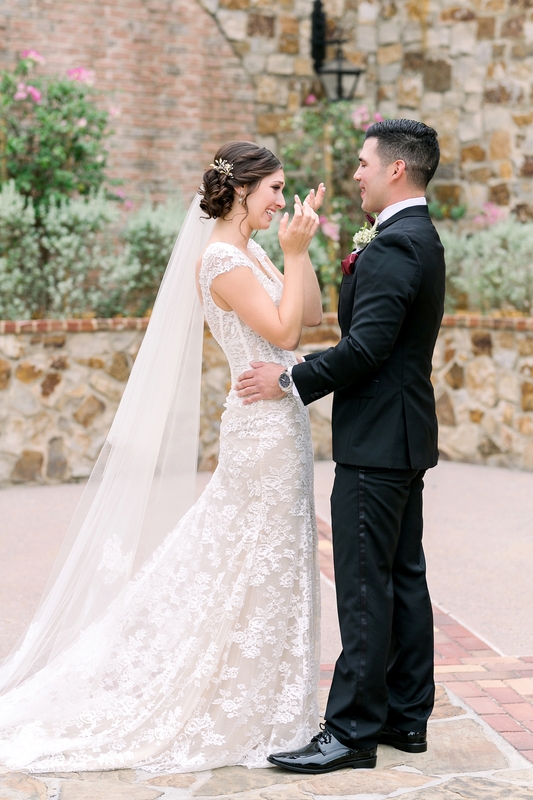 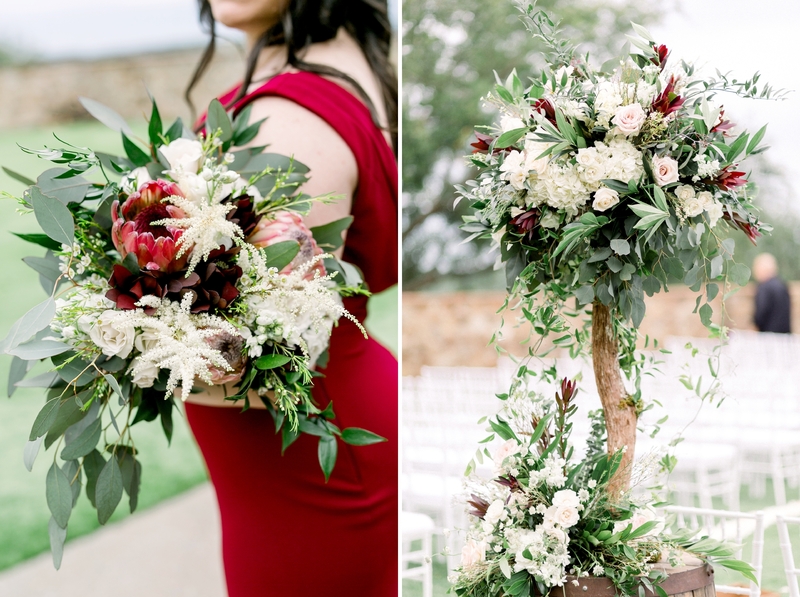 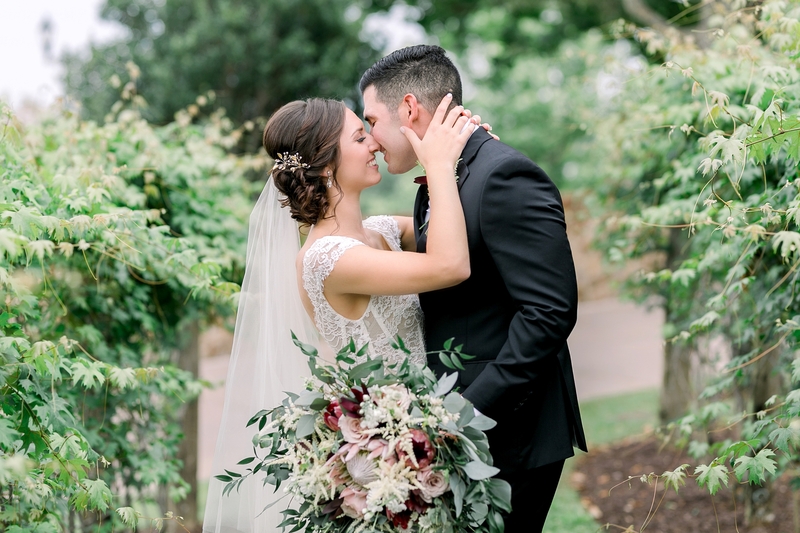 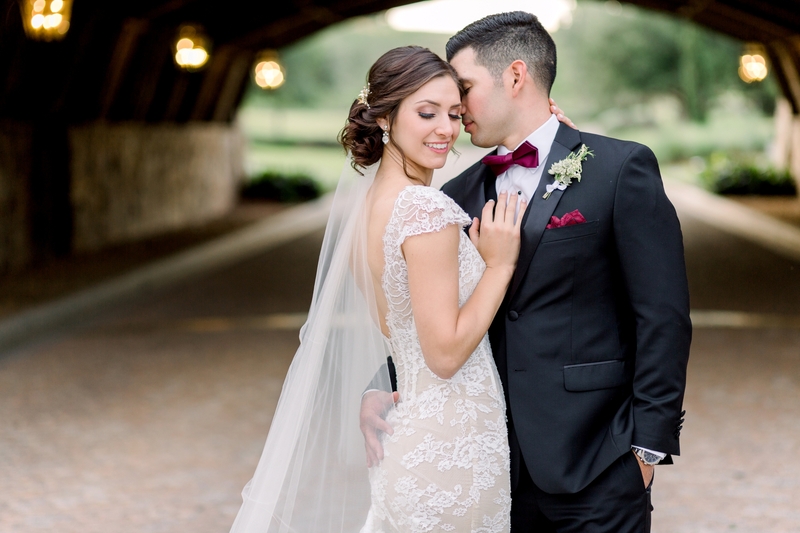 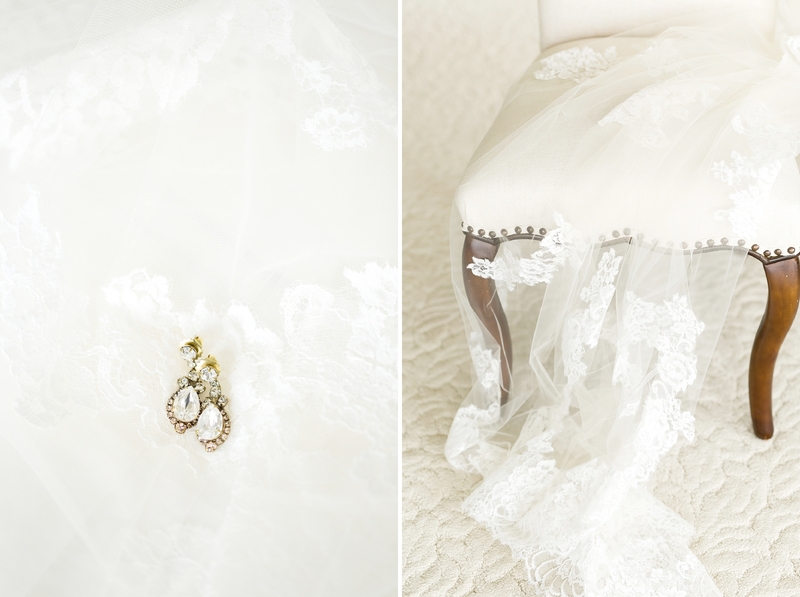 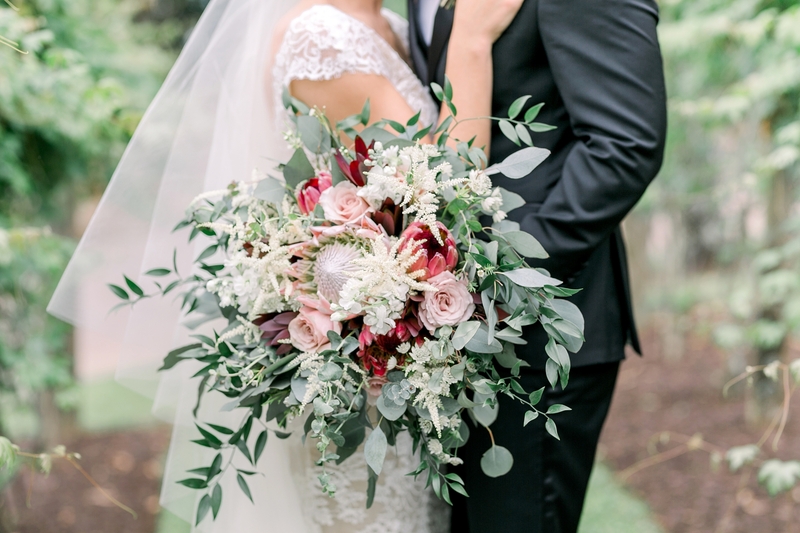 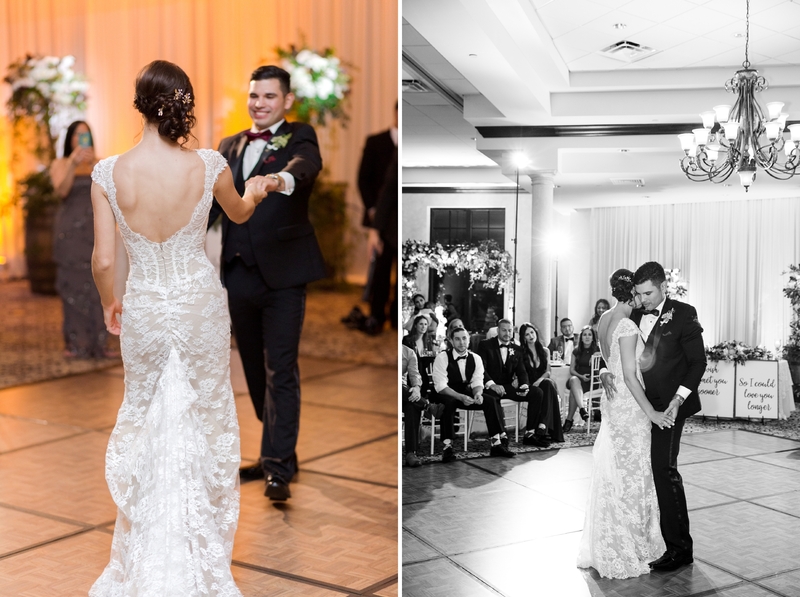 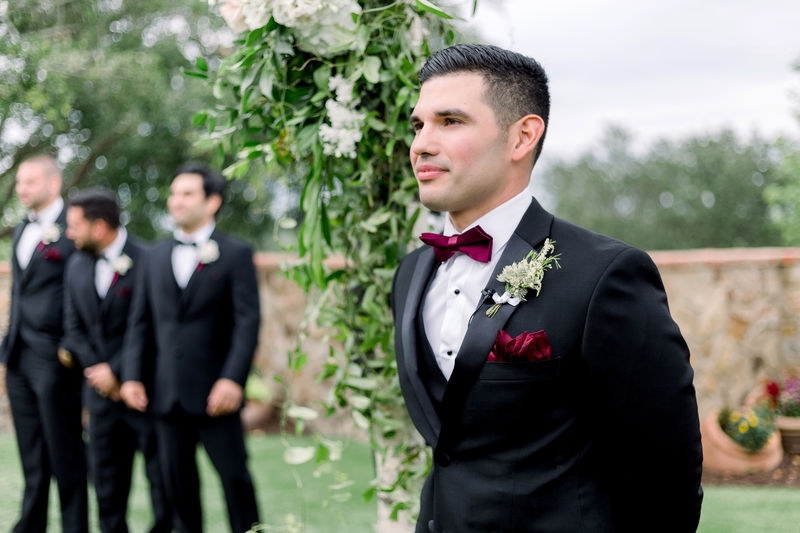 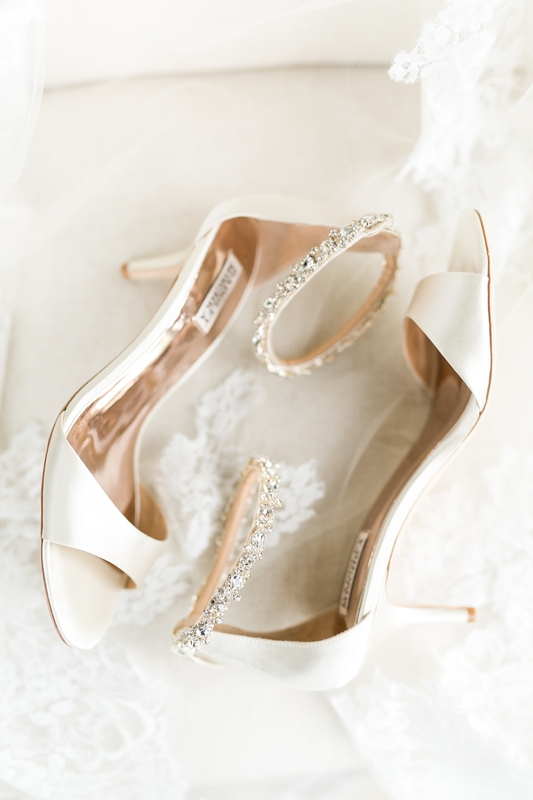 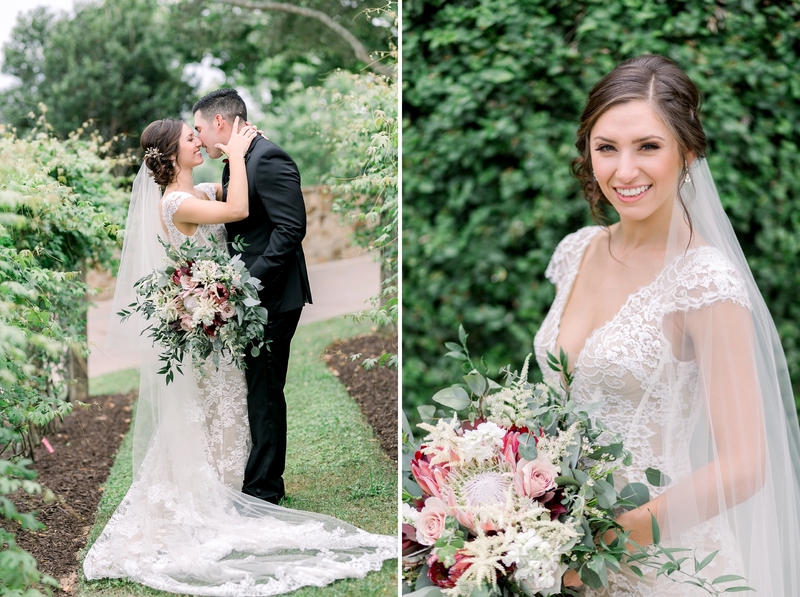 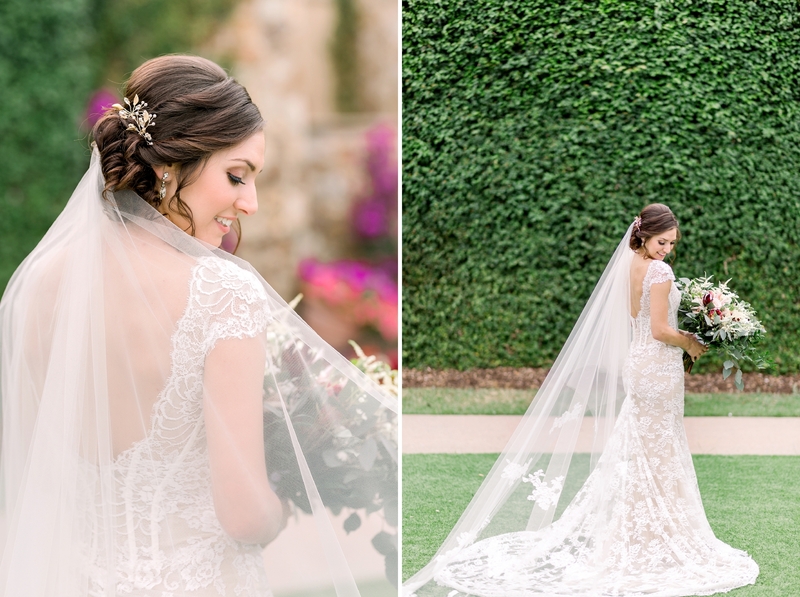 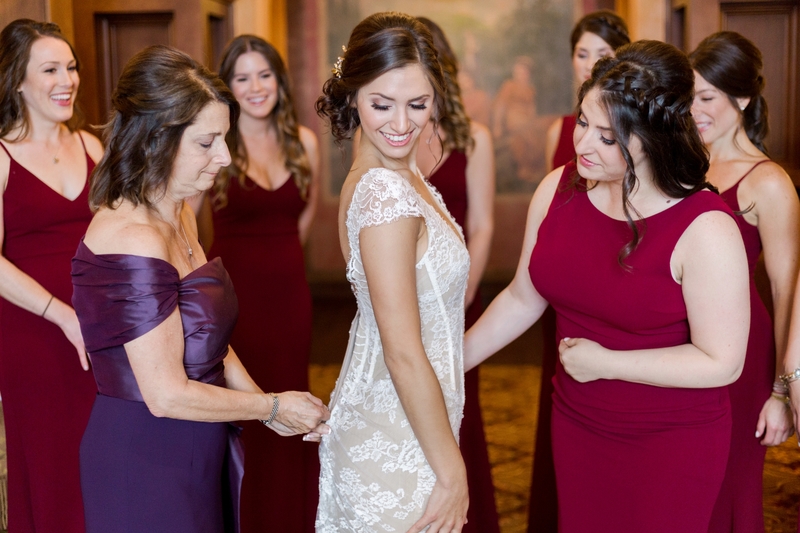 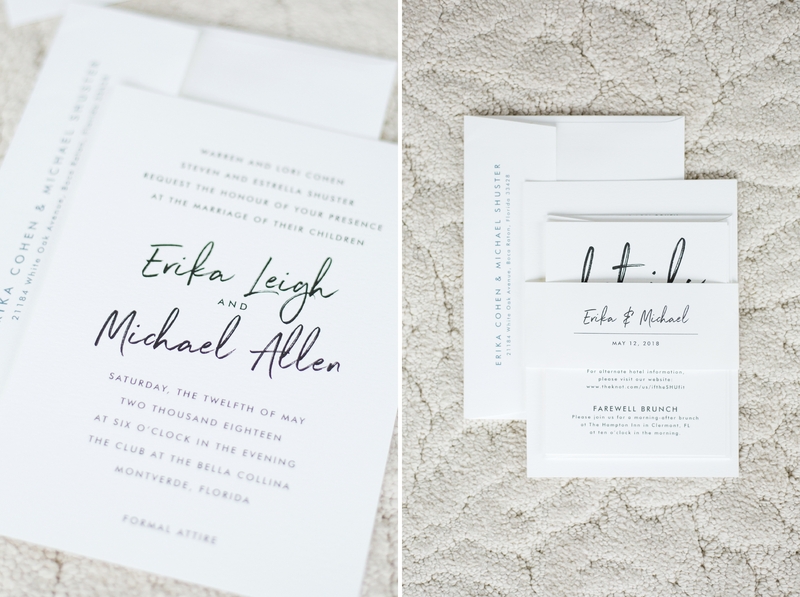 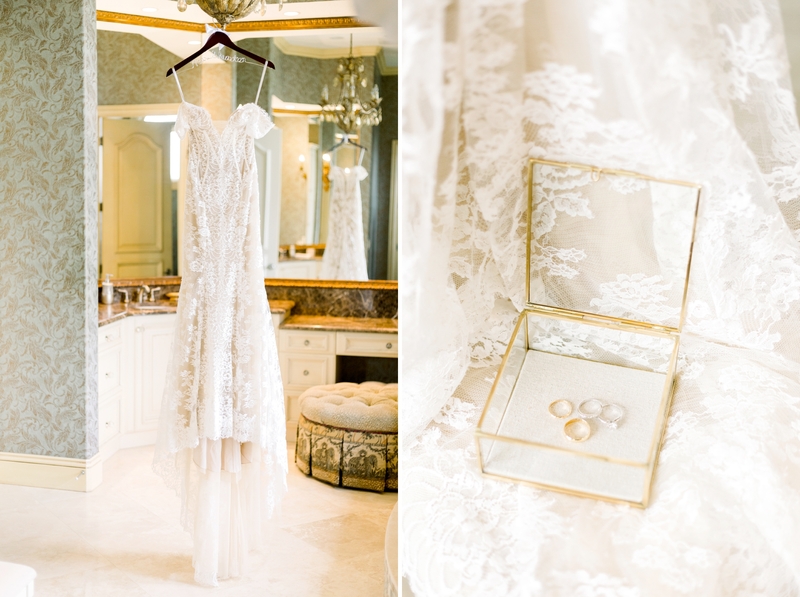 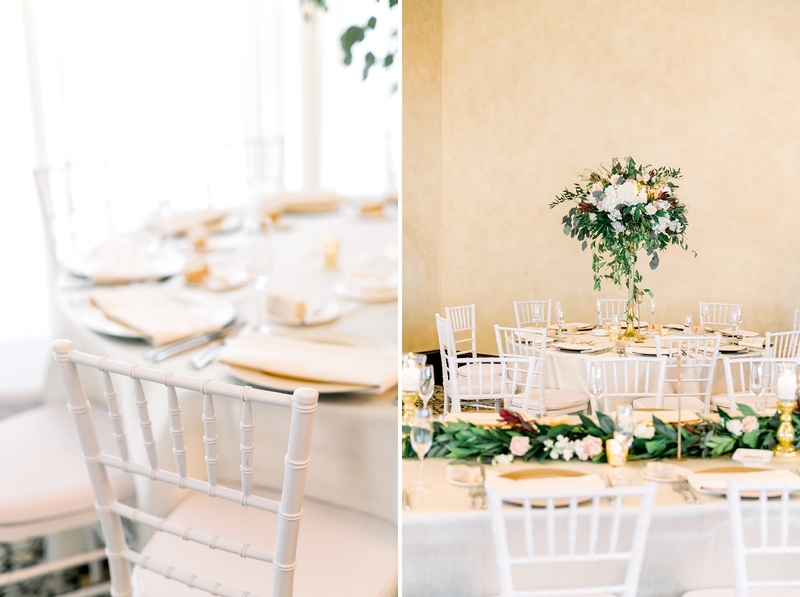 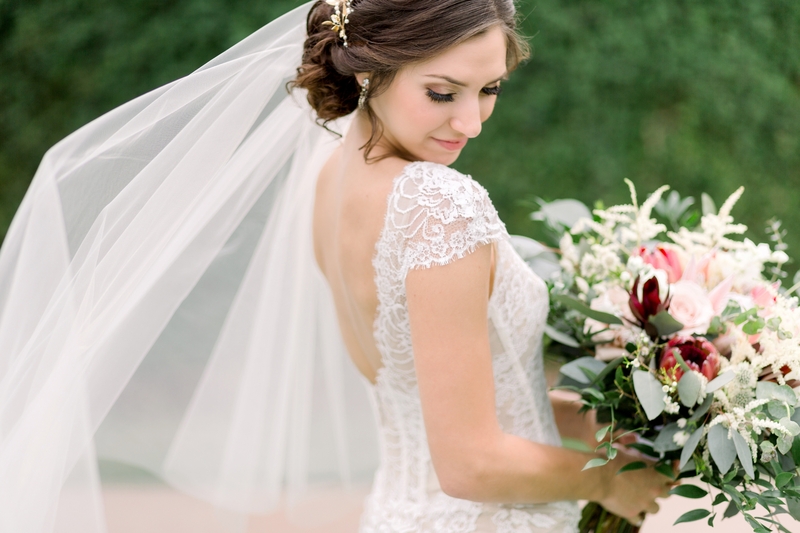 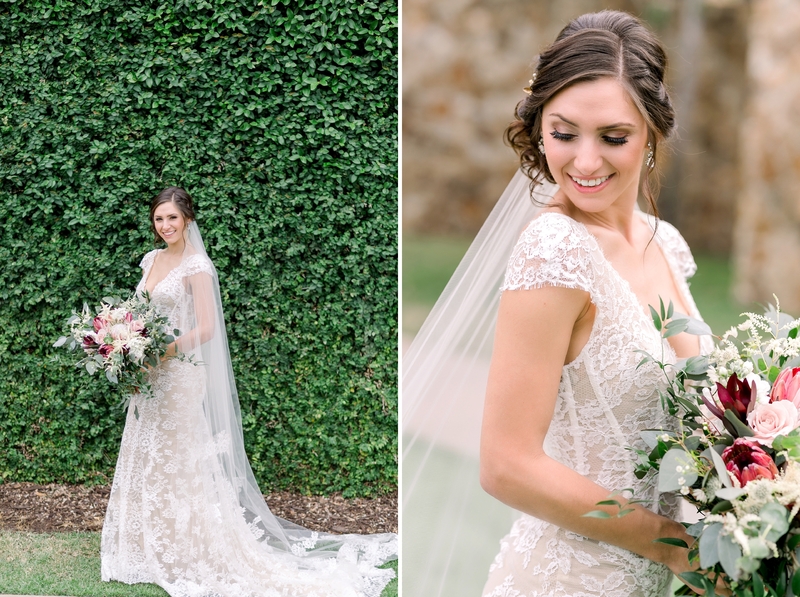 We lavished in the impeccable floral design and couldn’t get enough of Erika’s bridal style. 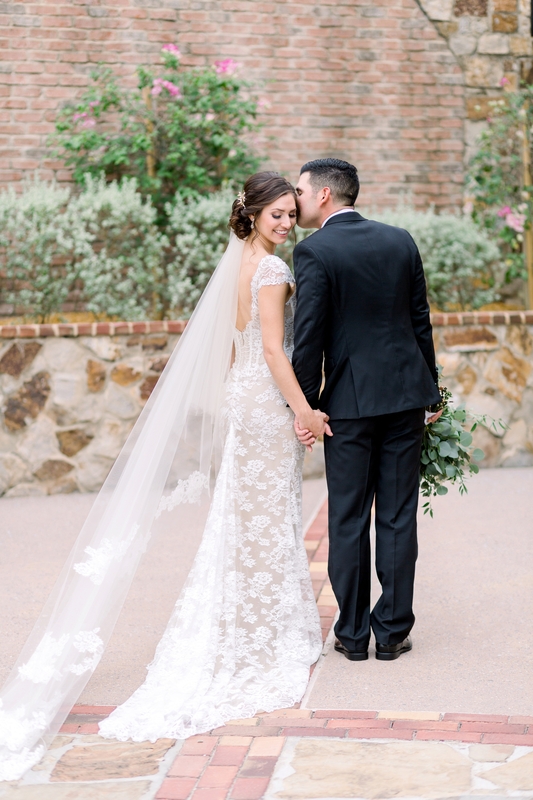 She even had her veil custom designed to match the lace in her gown! 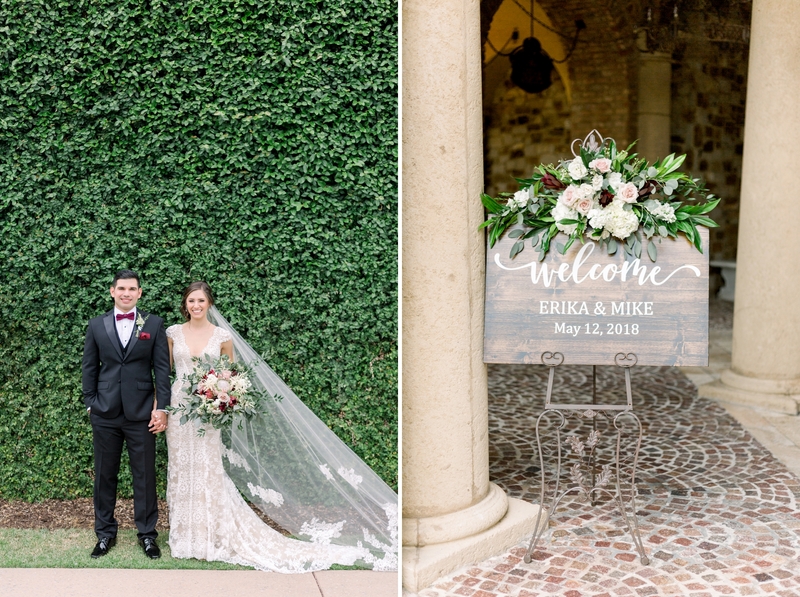 However, I can’t talk about the wedding day without first talking about Erika and Mike! 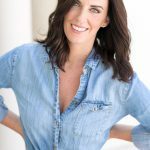 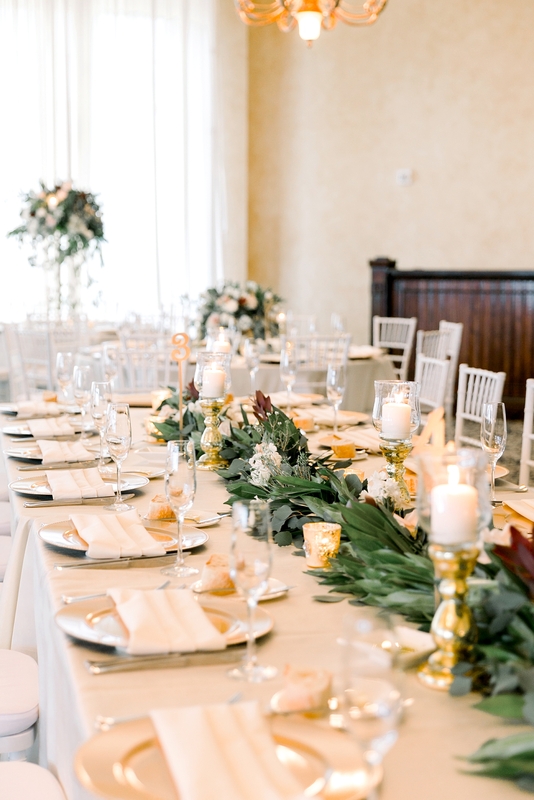 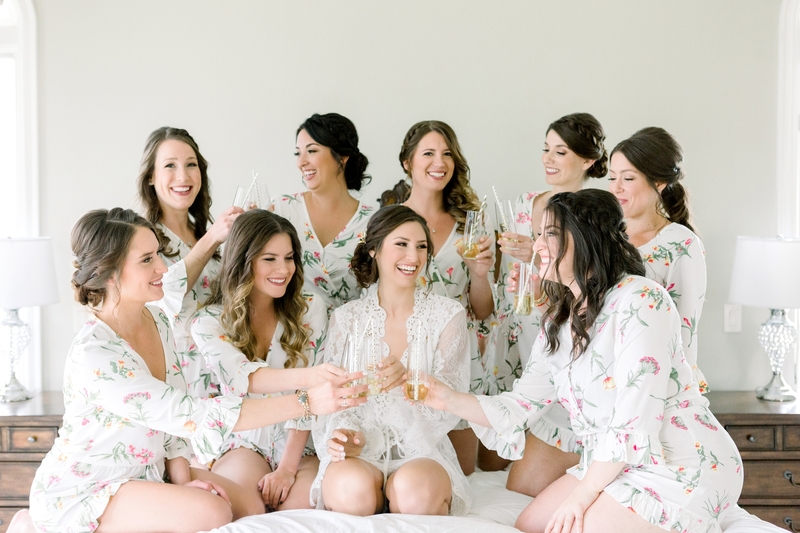 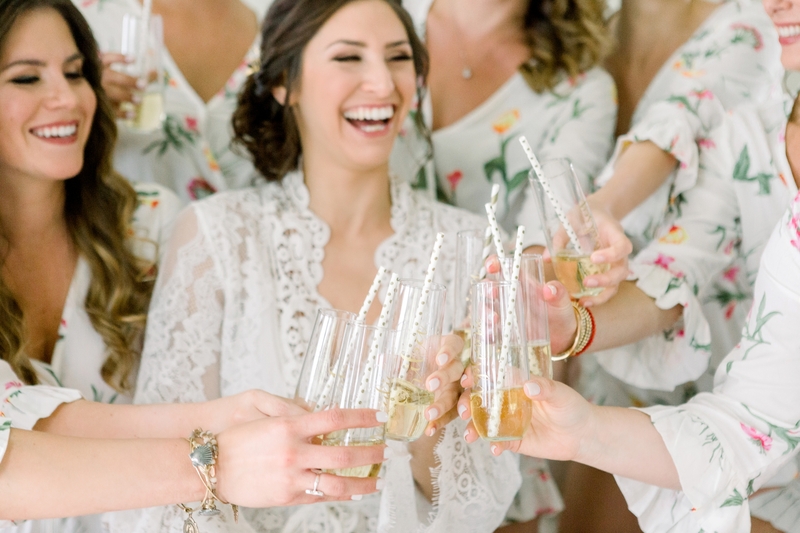 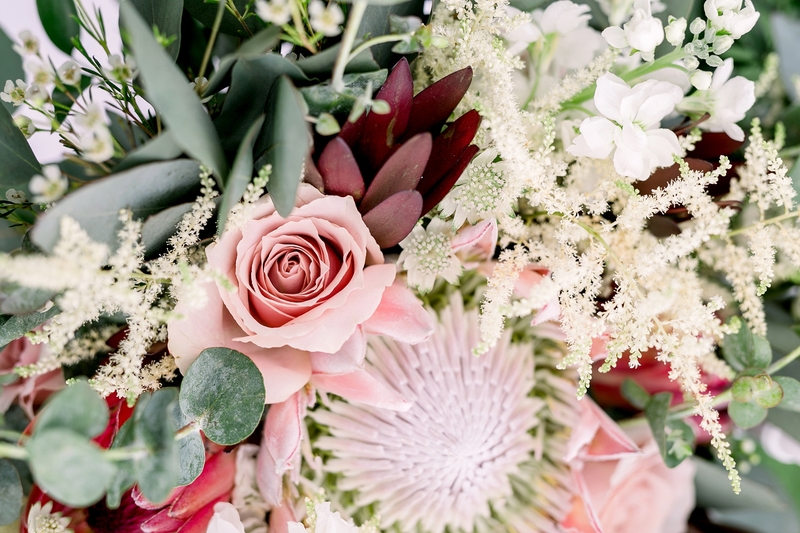 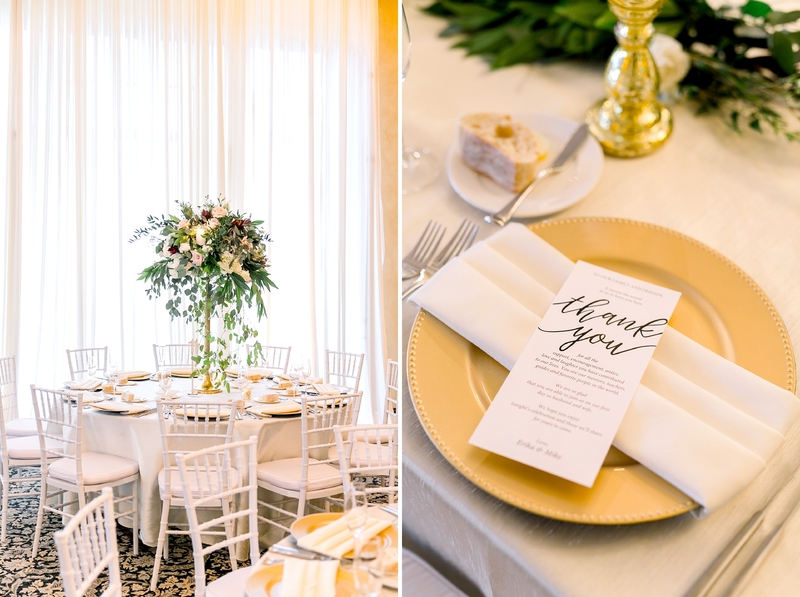 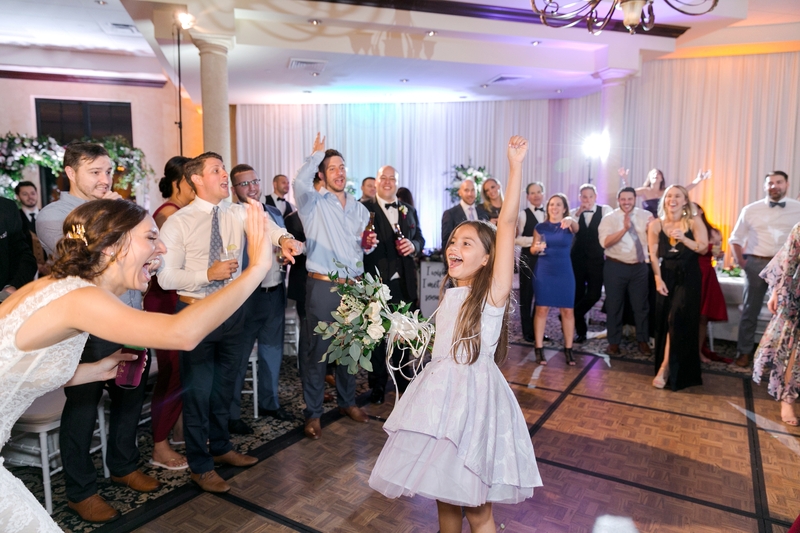 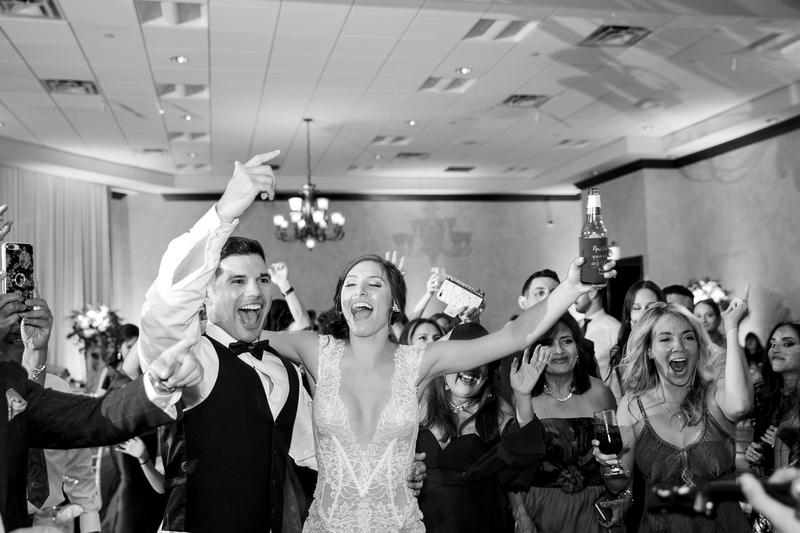 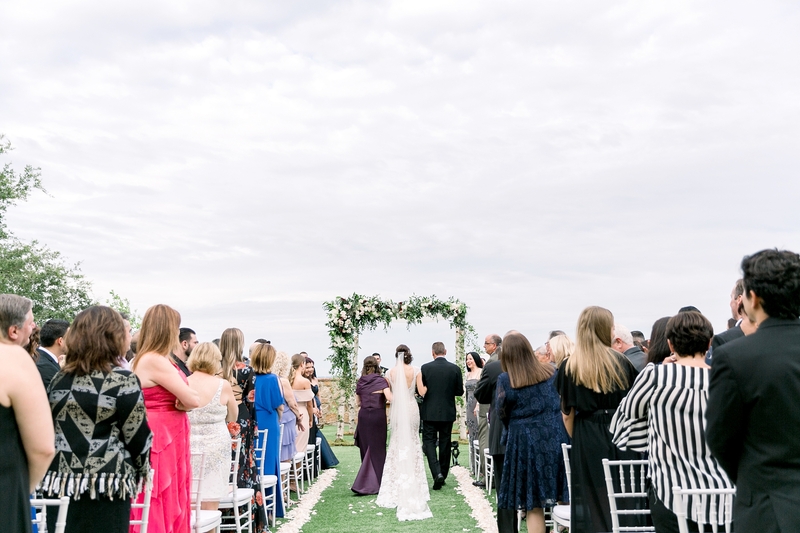 Planning a big Jewish wedding was no small task, and Erika enlisted the help of expert event planner Alison Watkins from Blush. 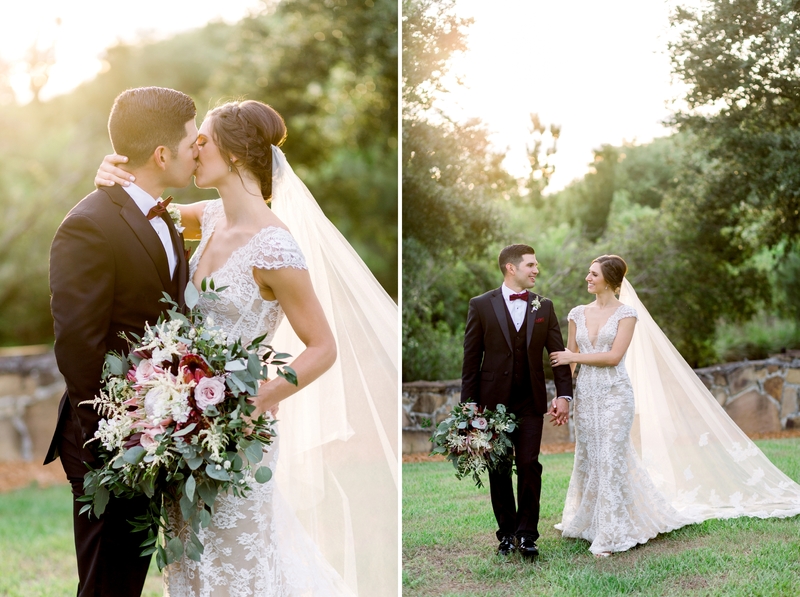 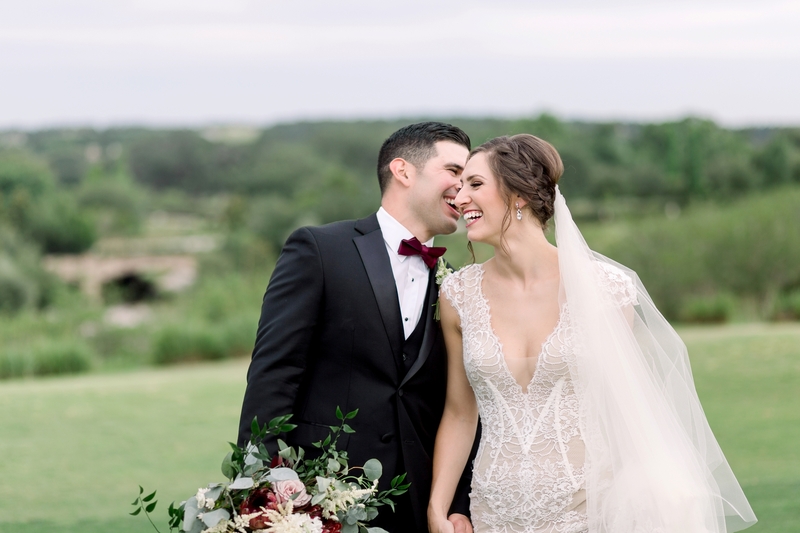 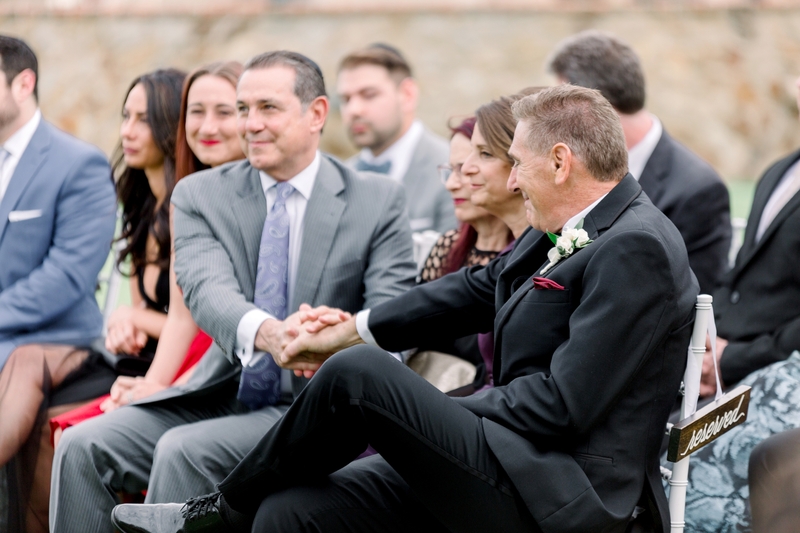 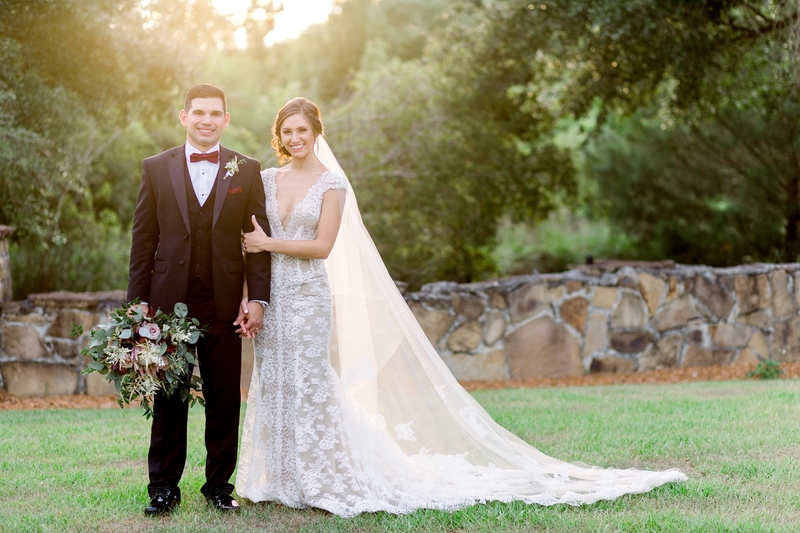 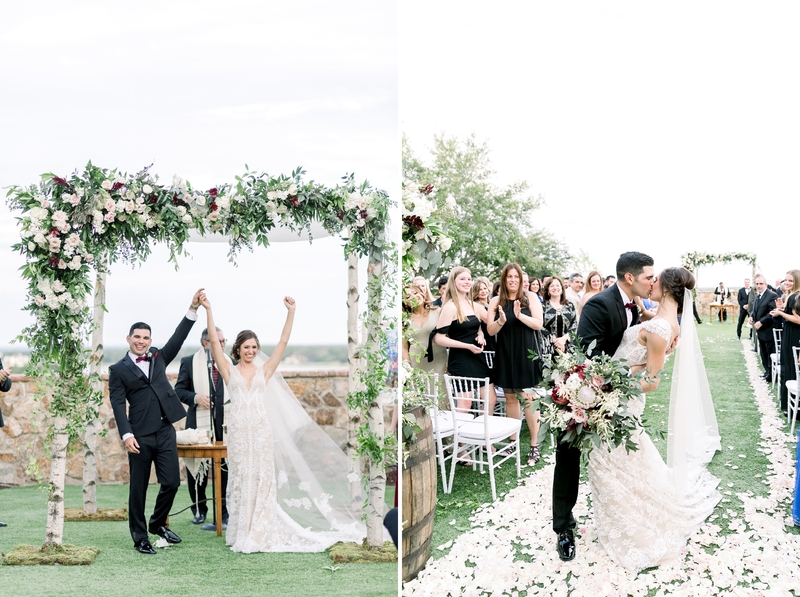 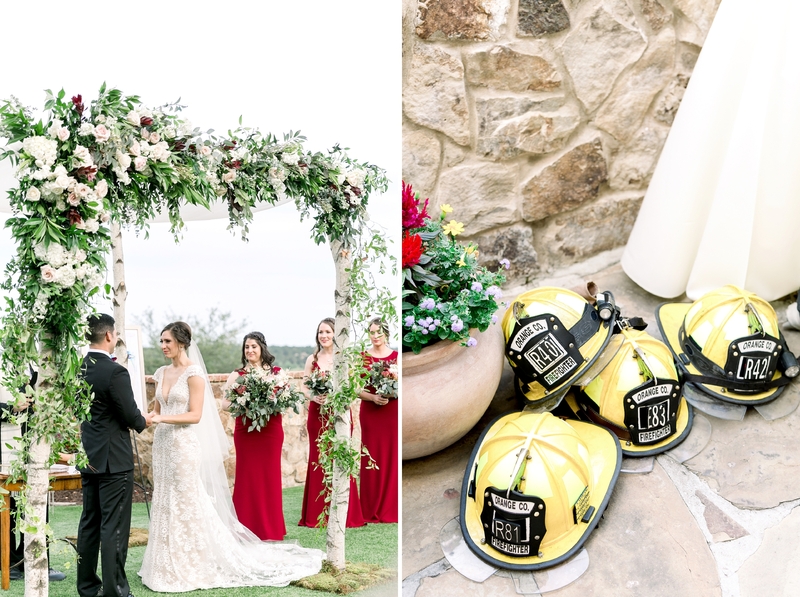 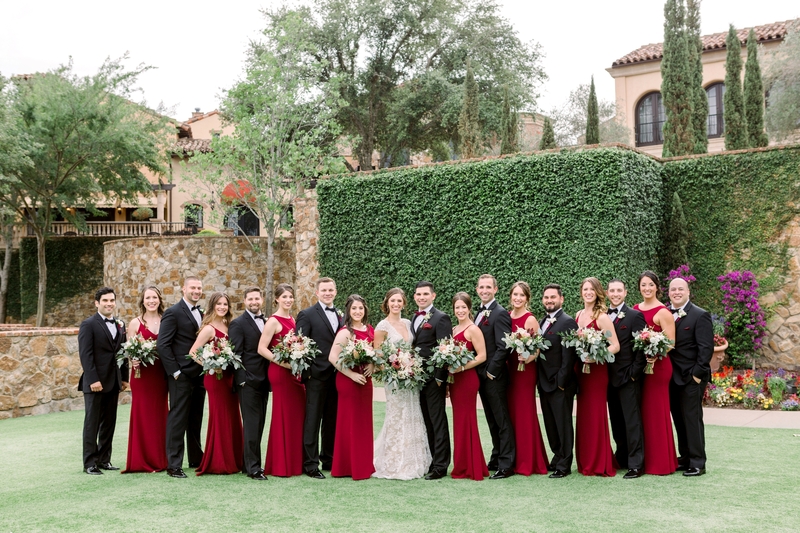 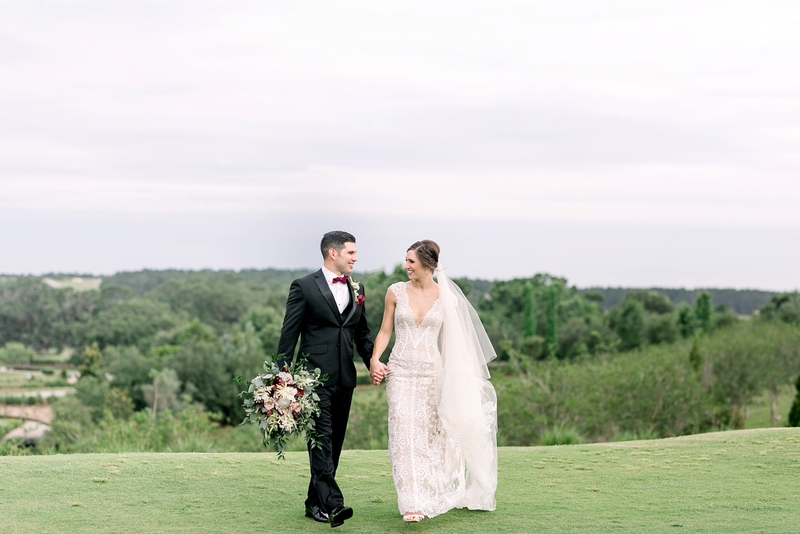 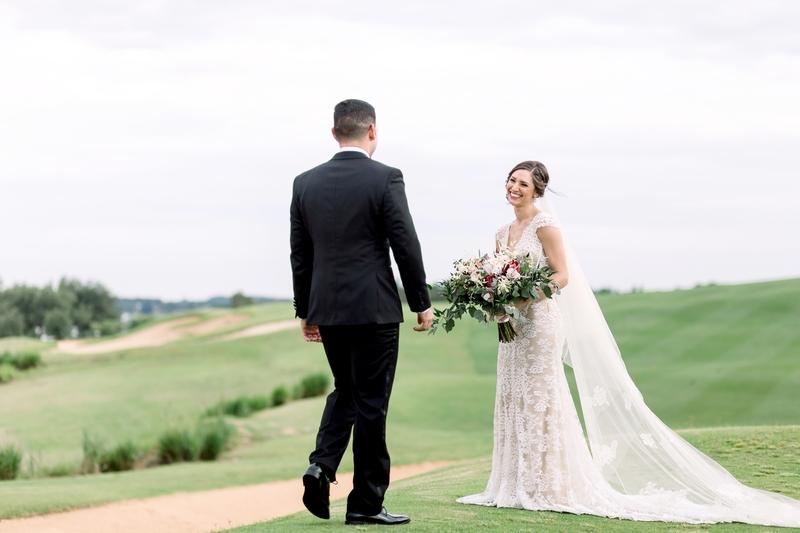 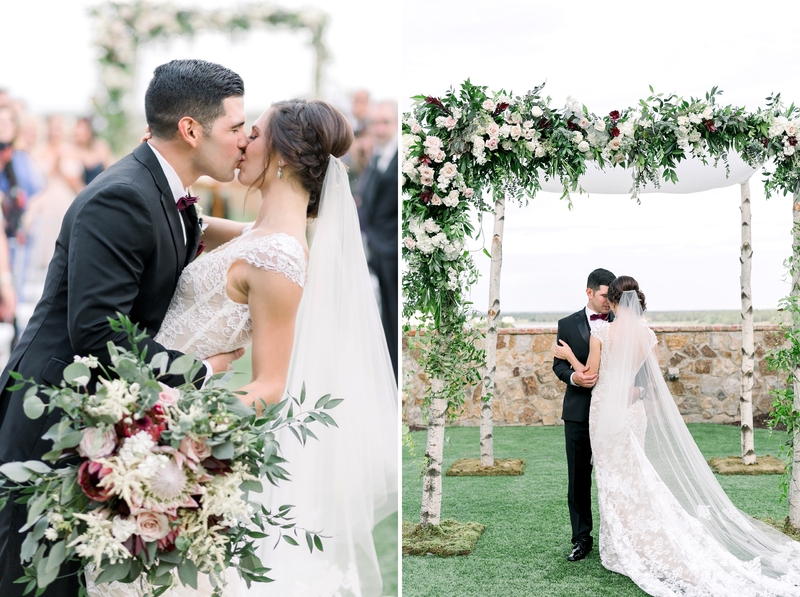 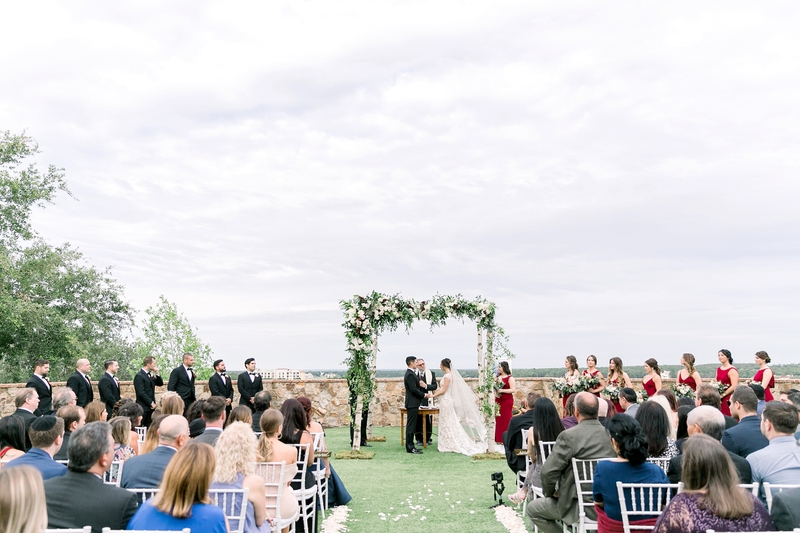 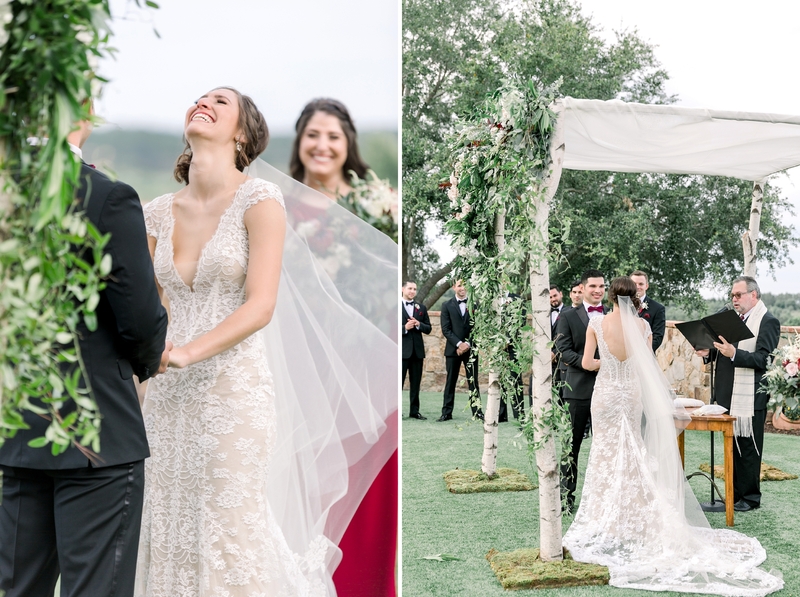 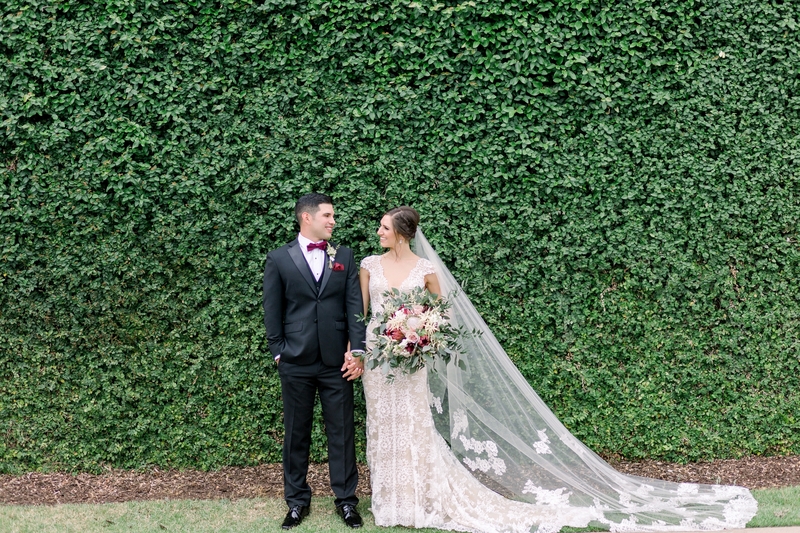 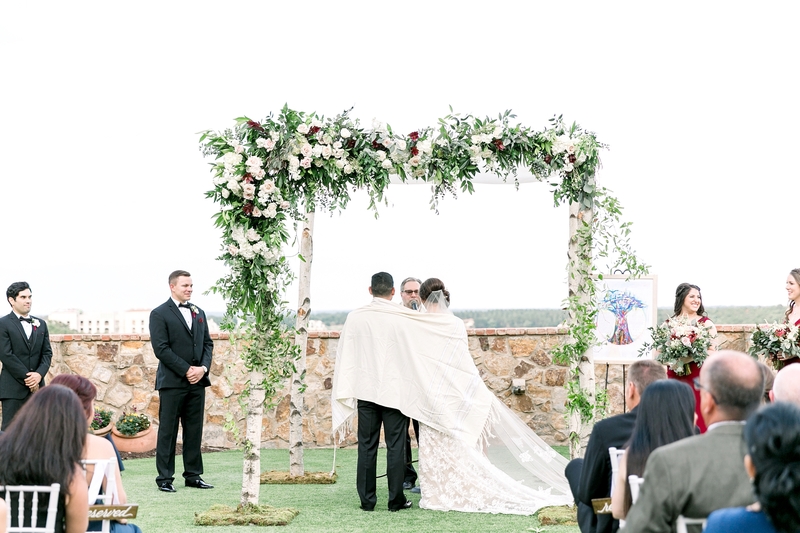 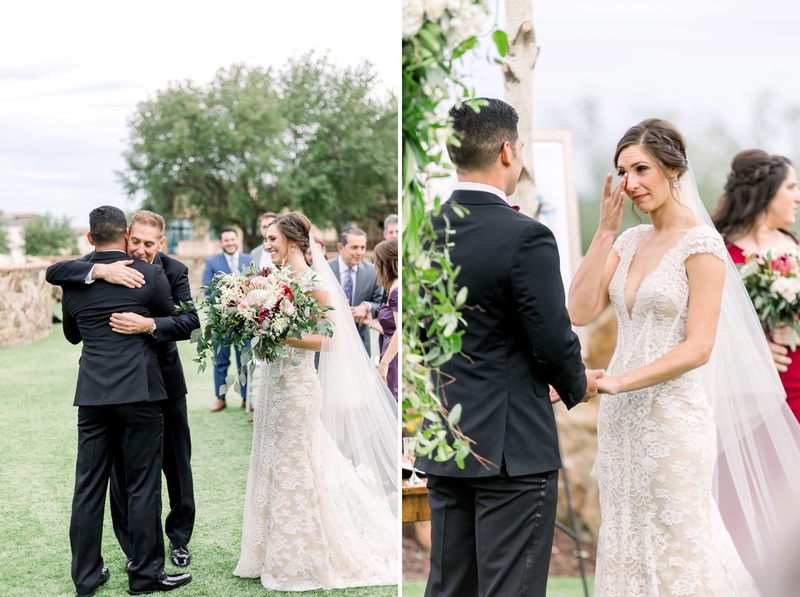 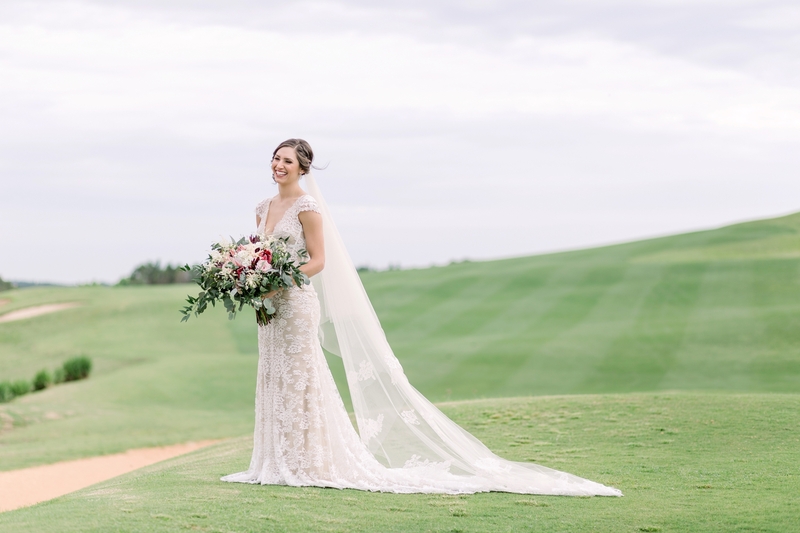 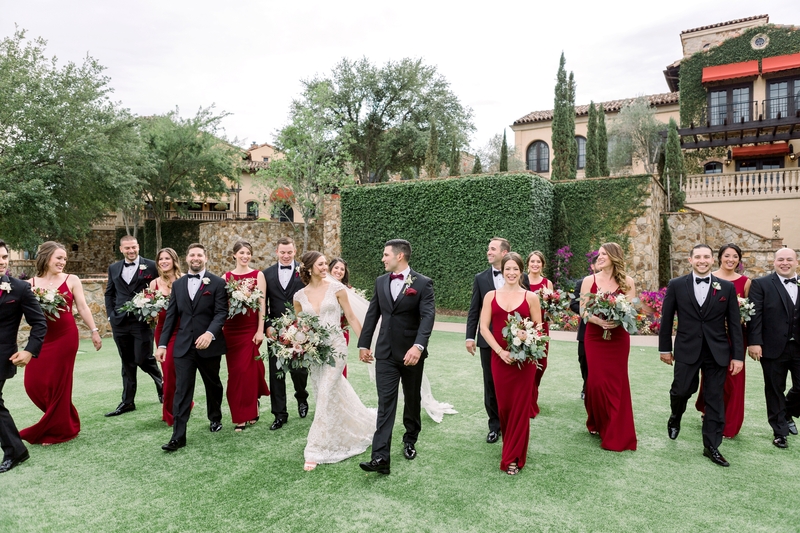 Following their Ketubah signing, Erika and Mike married on the lush lawn of Bella Collina under a beautiful floral Chuppah created by Raining Roses. 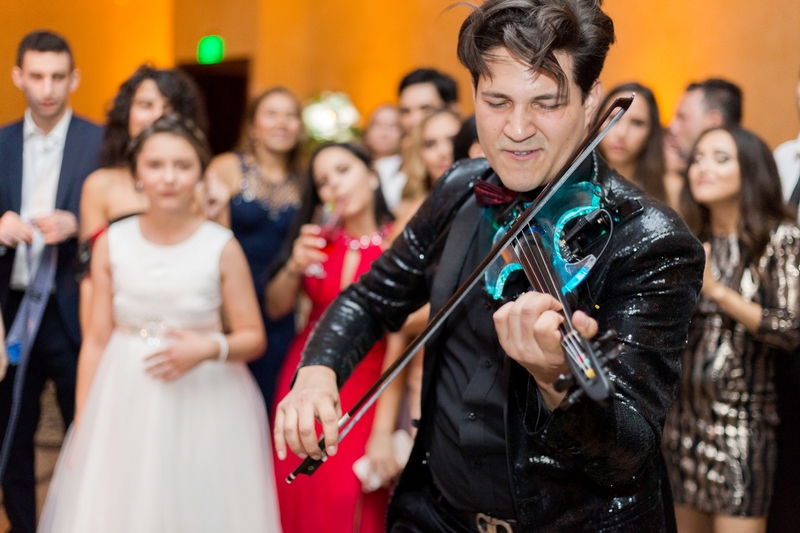 For their reception, they flew in 2 electric violinists from Mexico, which they were super excited about! 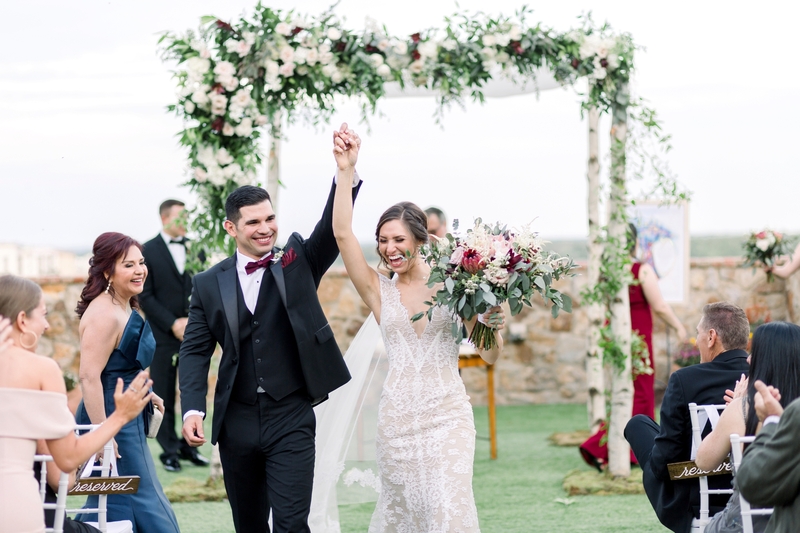 Following their wedding, Erika and Michael honeymooned on the gorgeous island of Santorini, Greece. 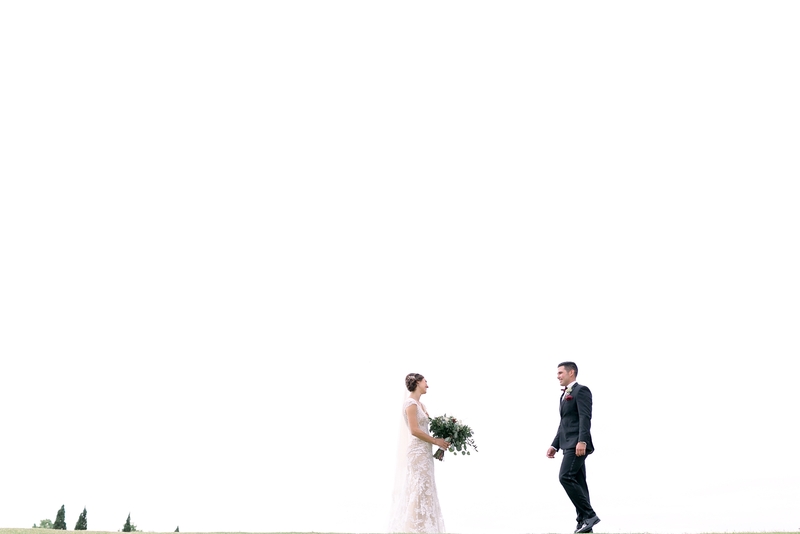 We’ve all been following their travels and the gorgeous sunsets of Oia. 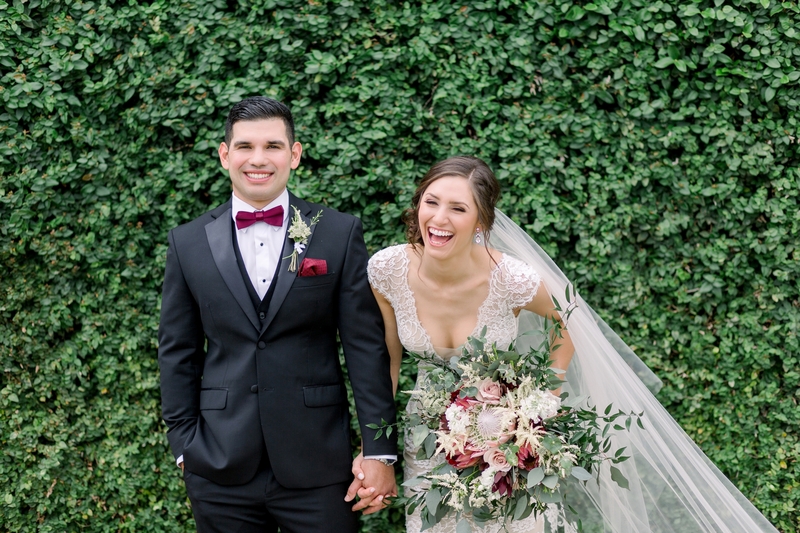 Congratulations to Erika and Michael from the entire KWP team and we can’t wait to see you for your next adventure!